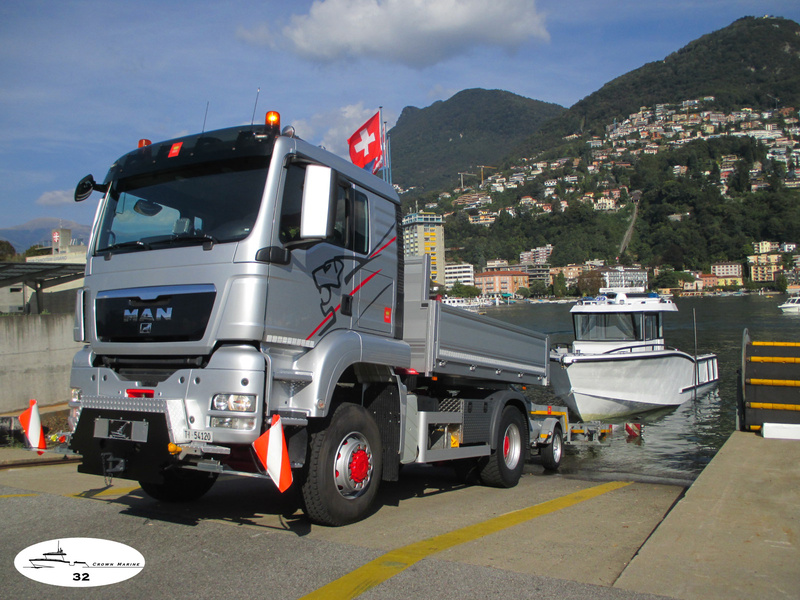 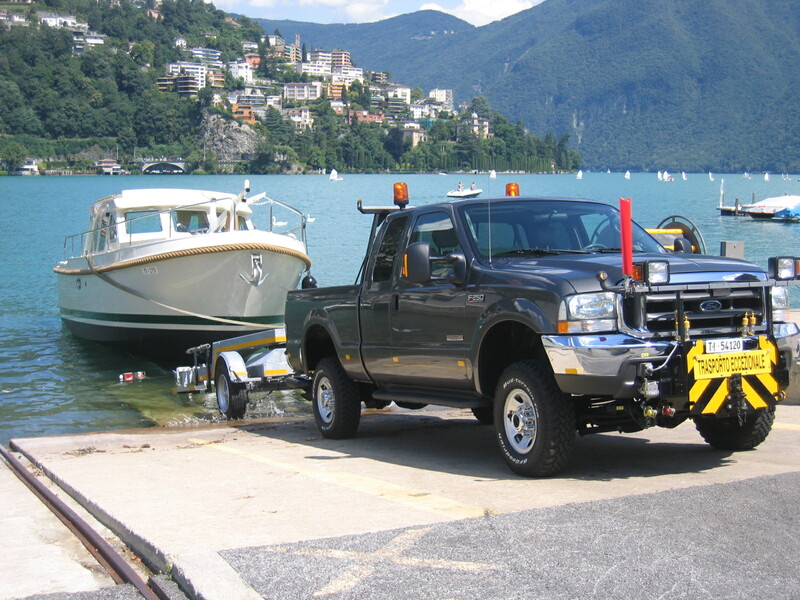 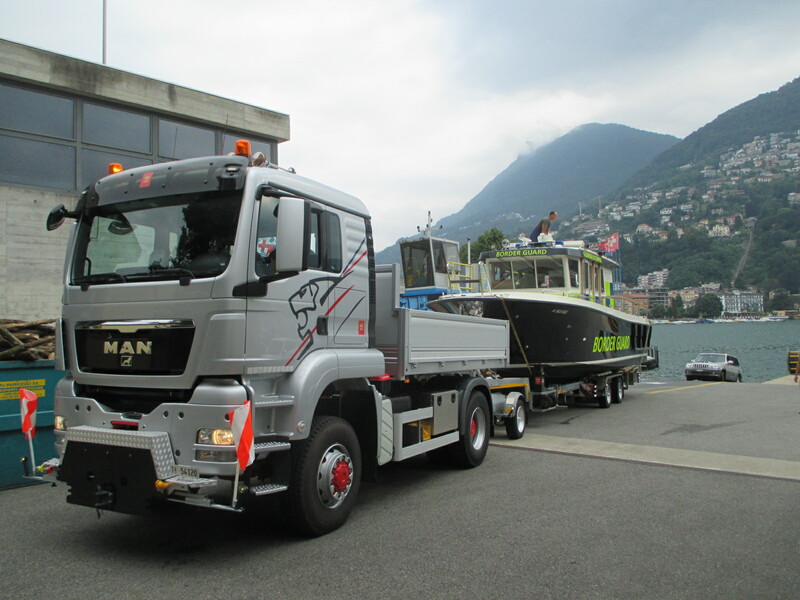 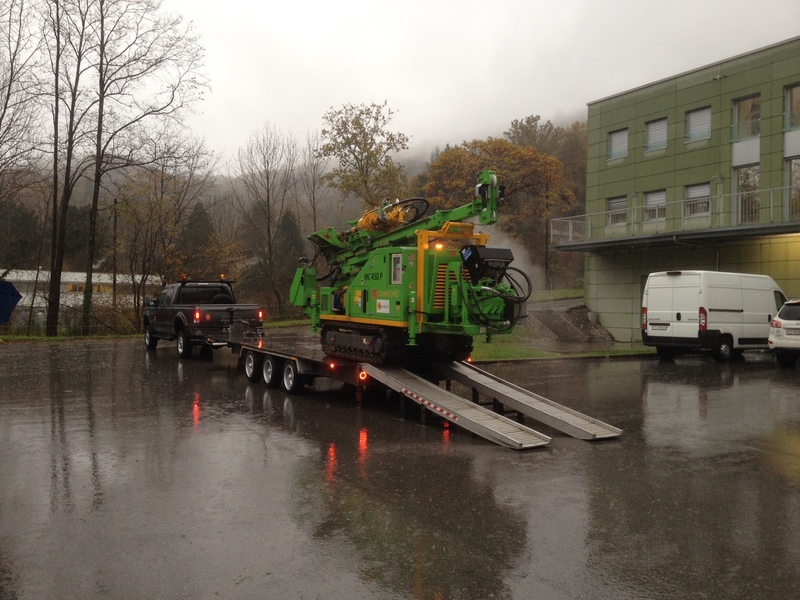 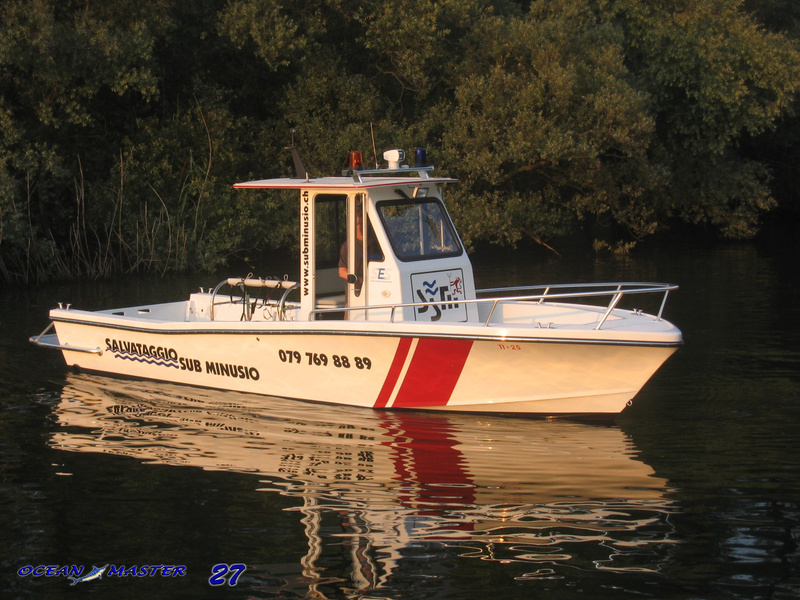 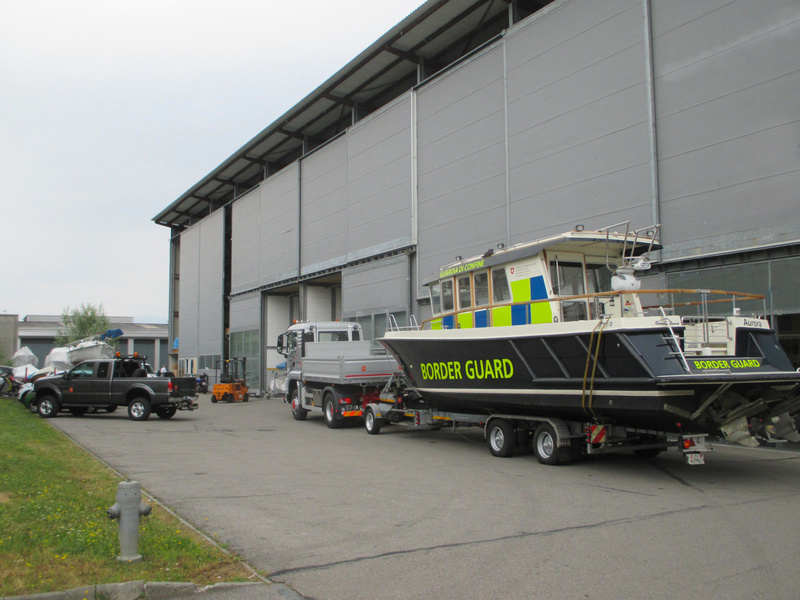 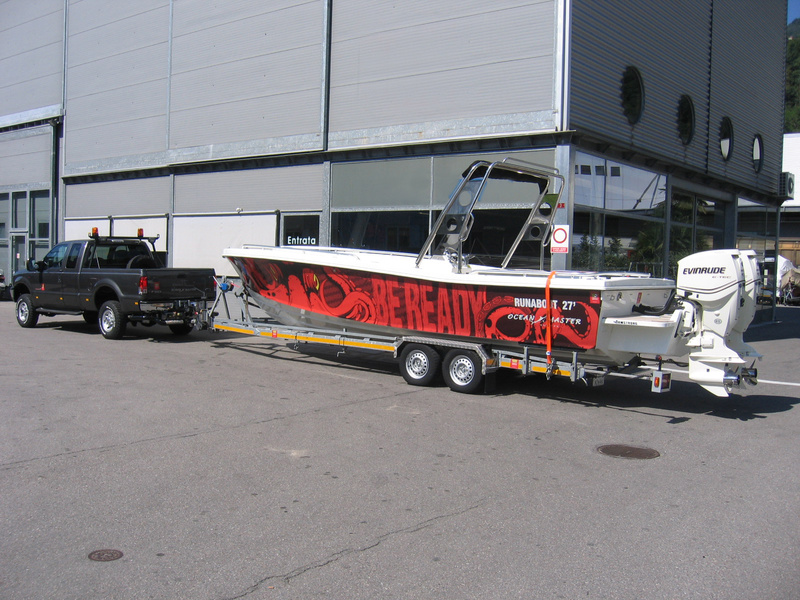 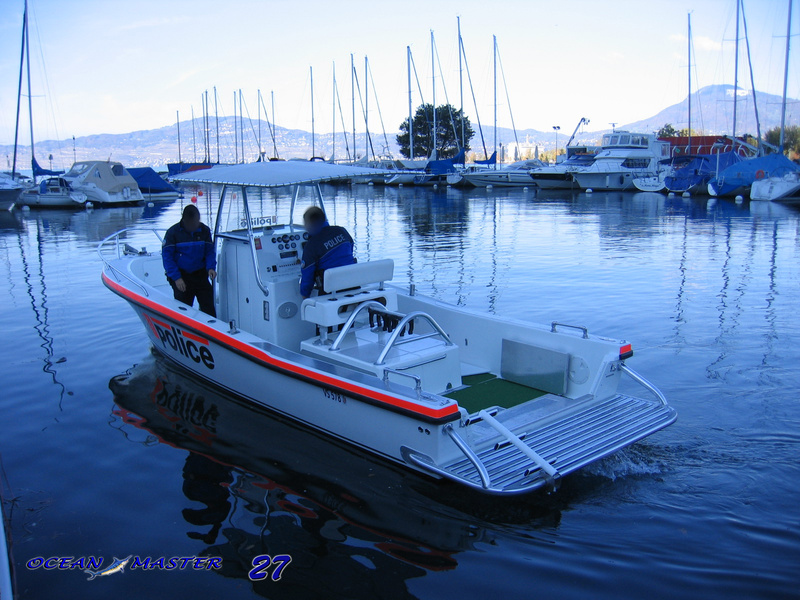 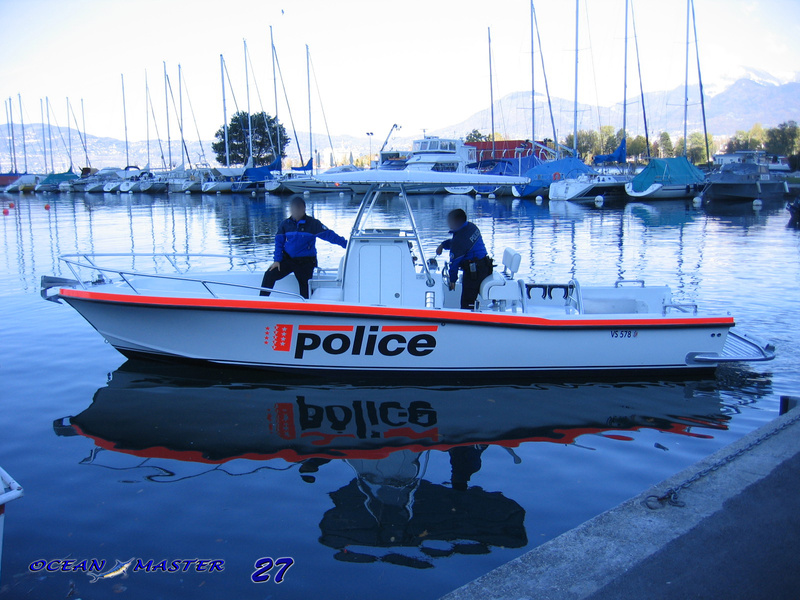 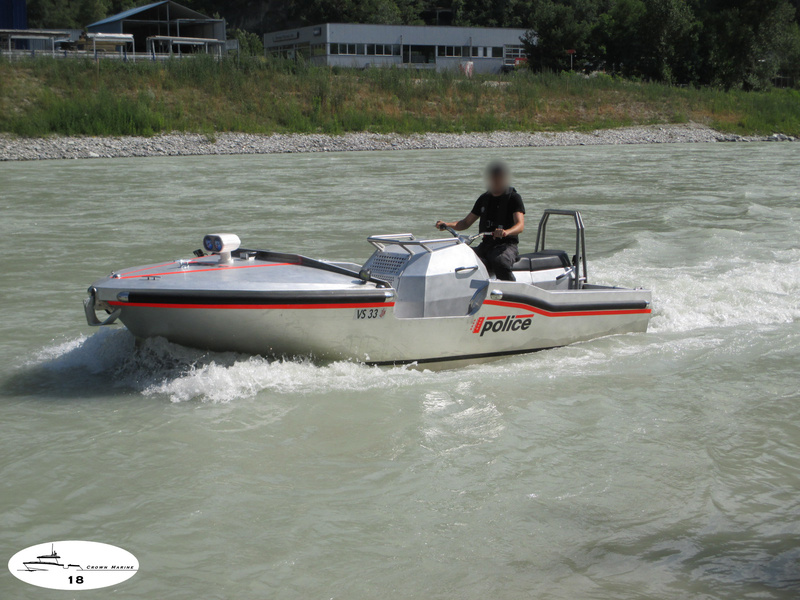 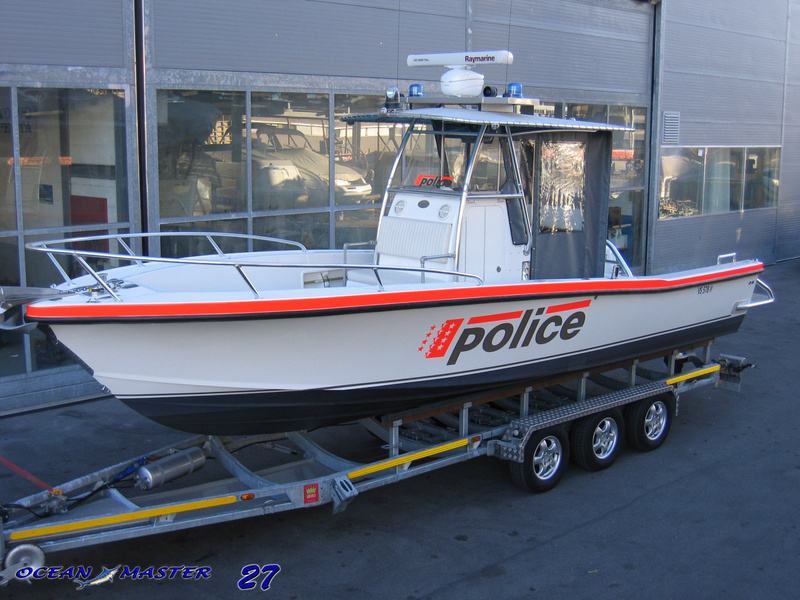 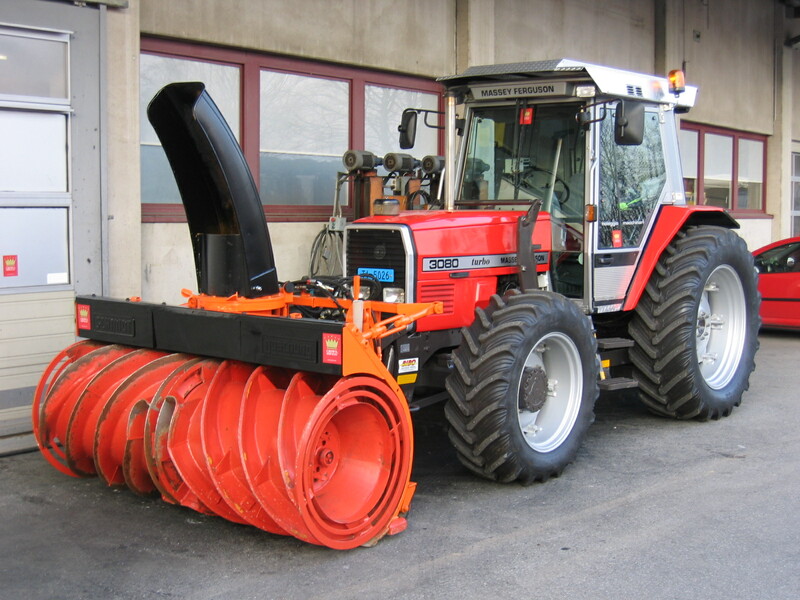 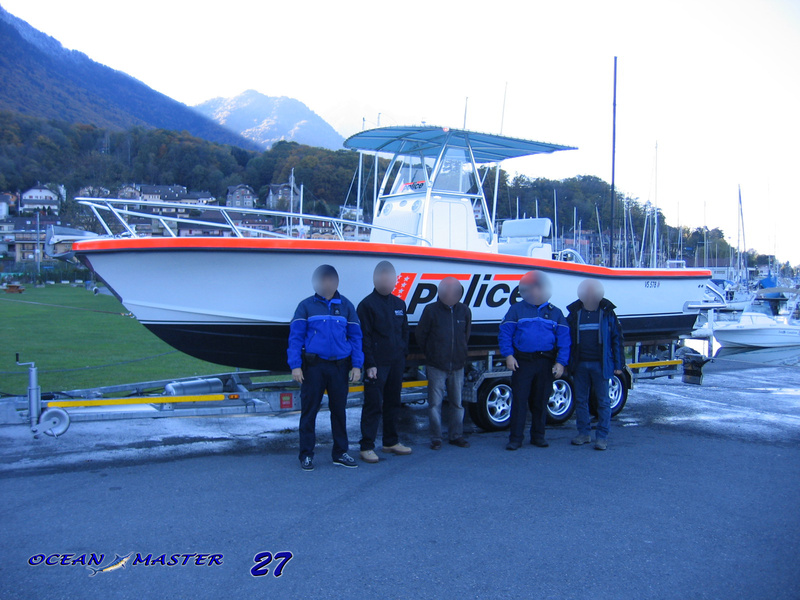 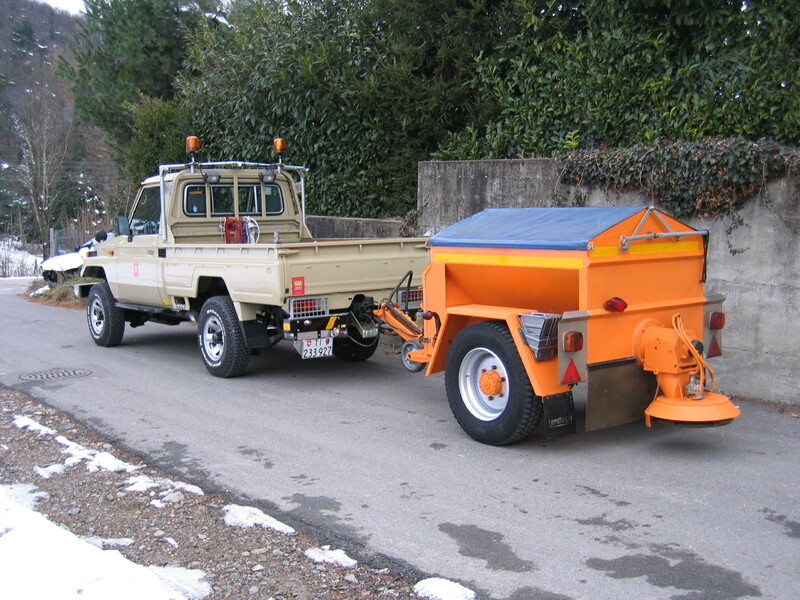 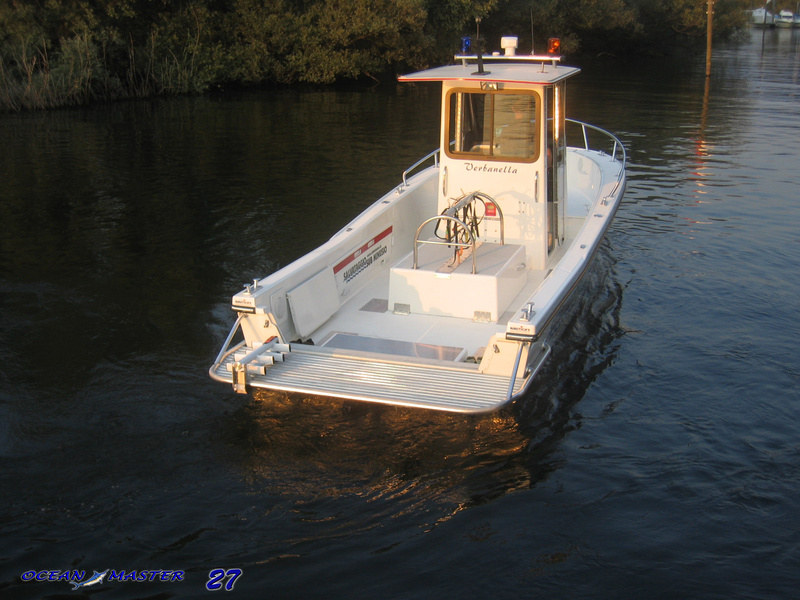 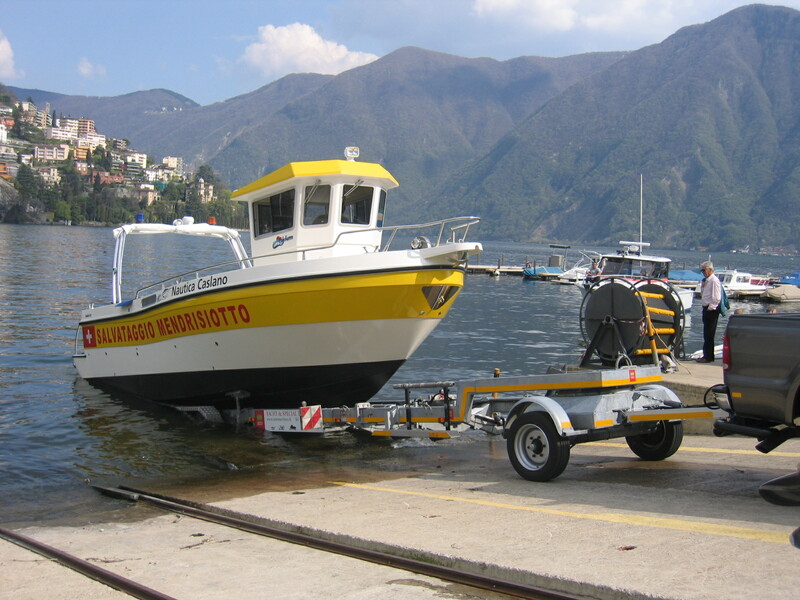 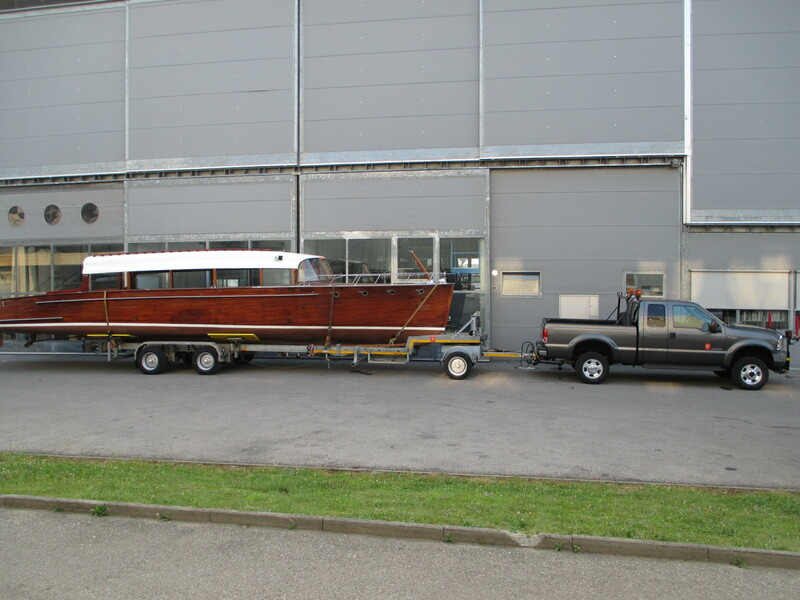 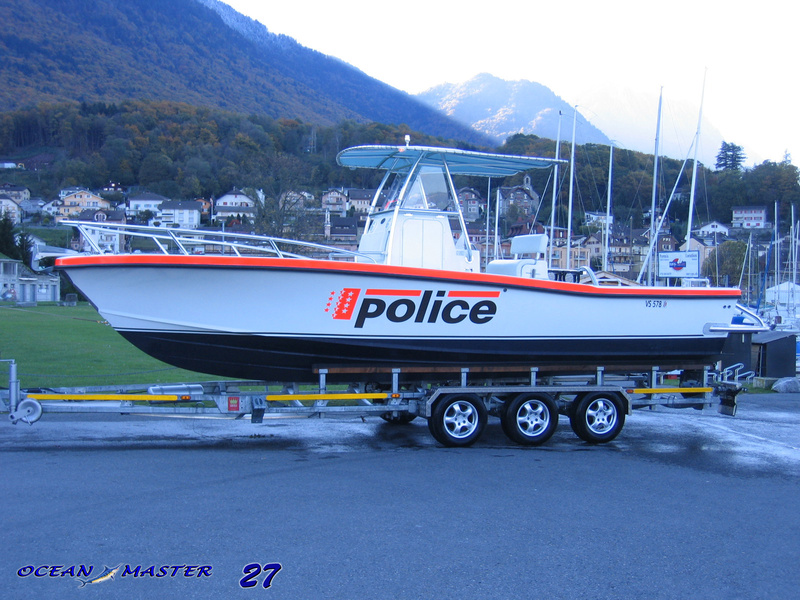 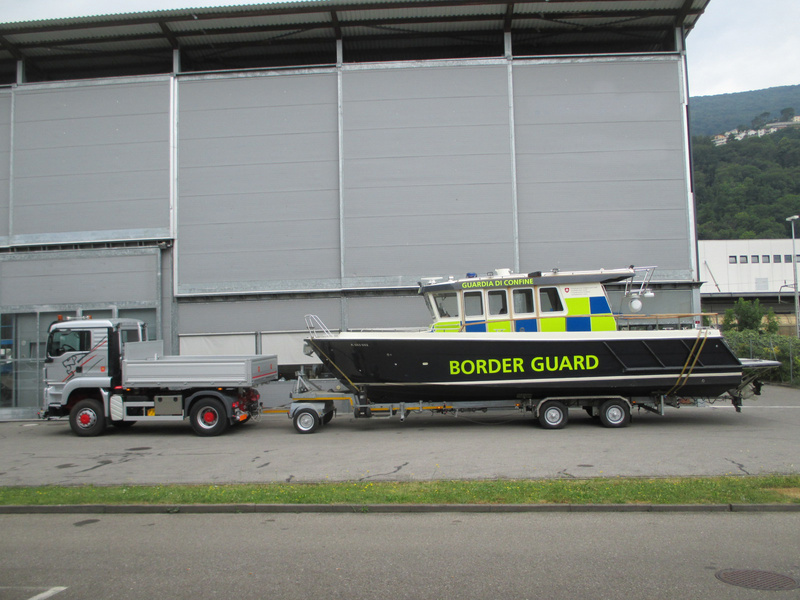 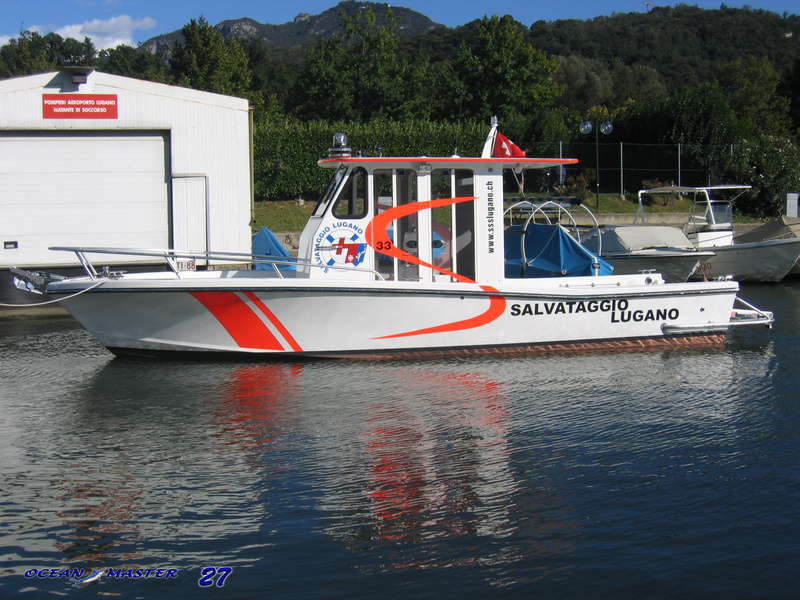 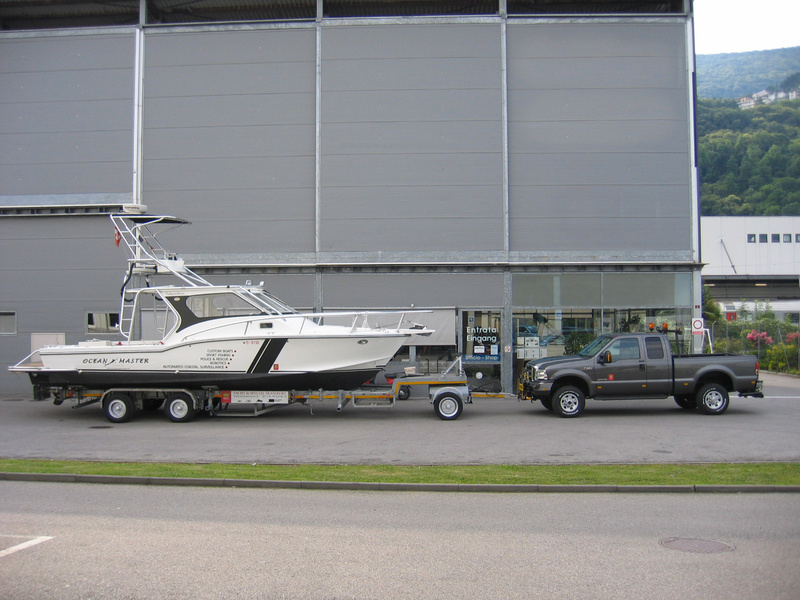 We have specially equipped our vehicles for the transportation of boats and plant machinery. 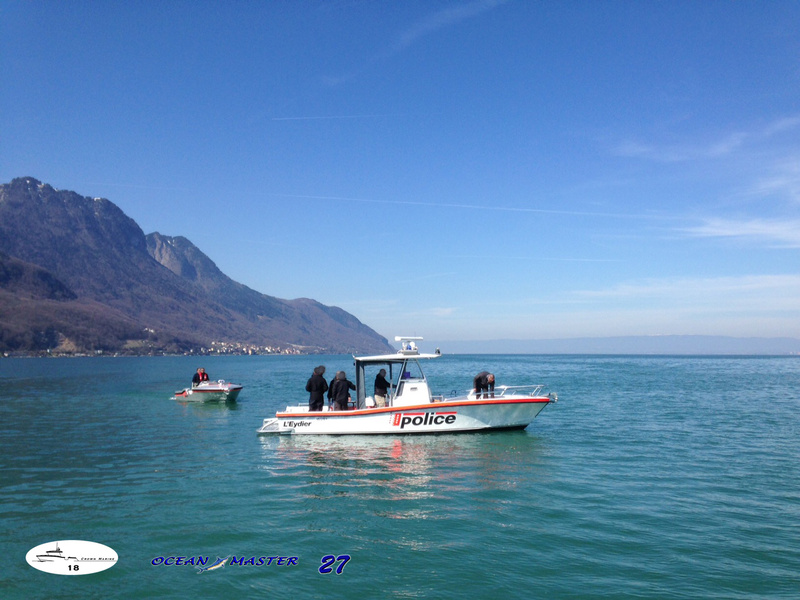 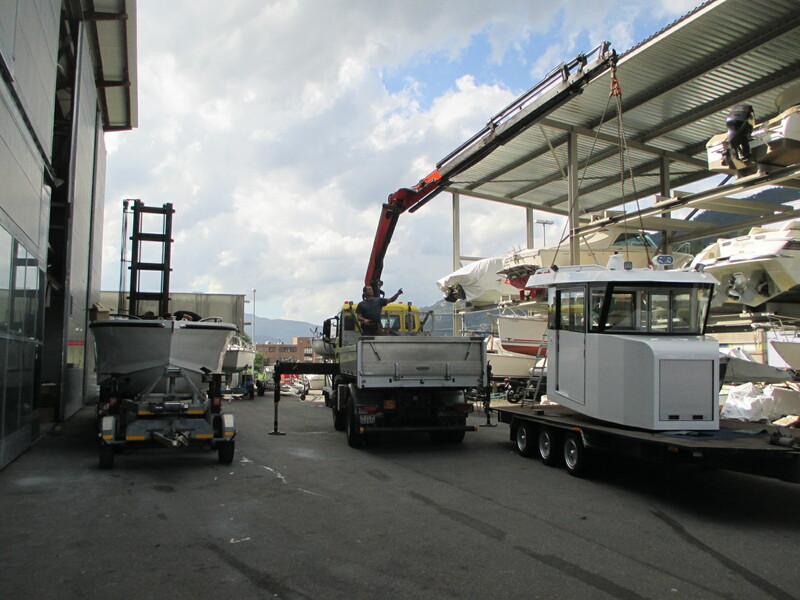 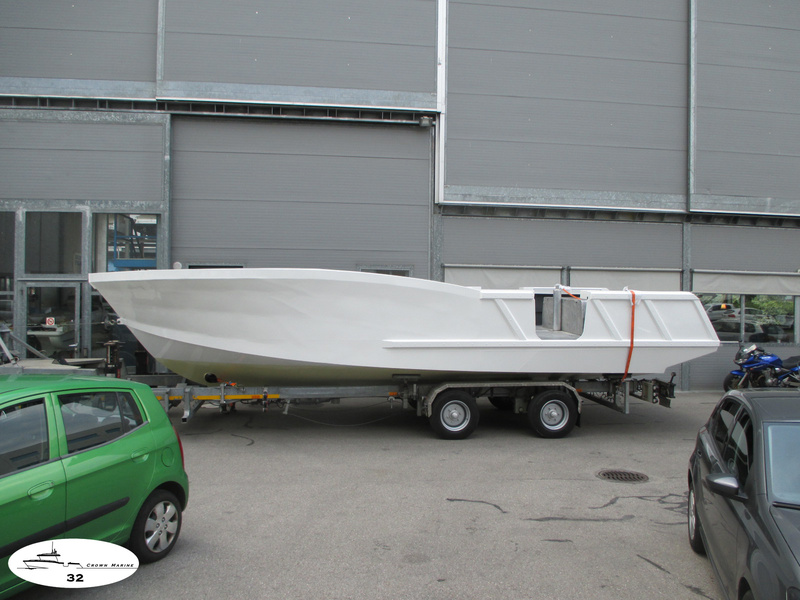 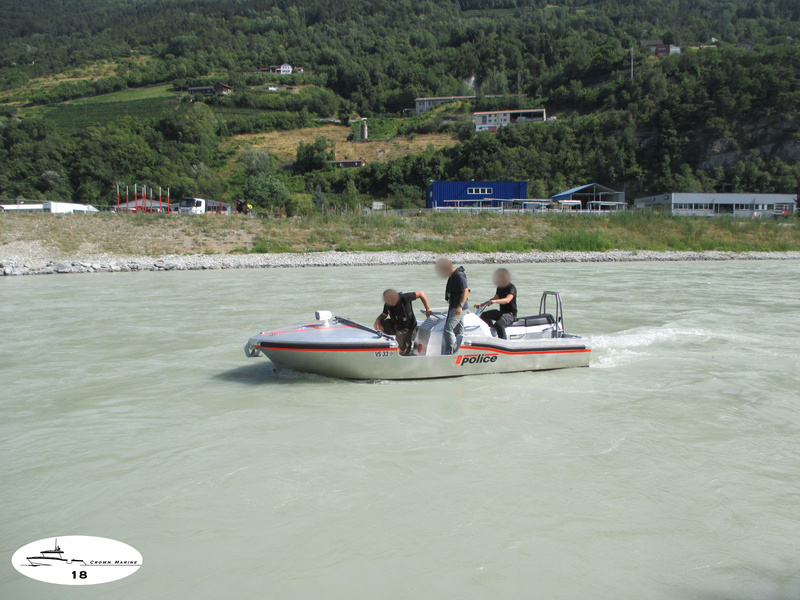 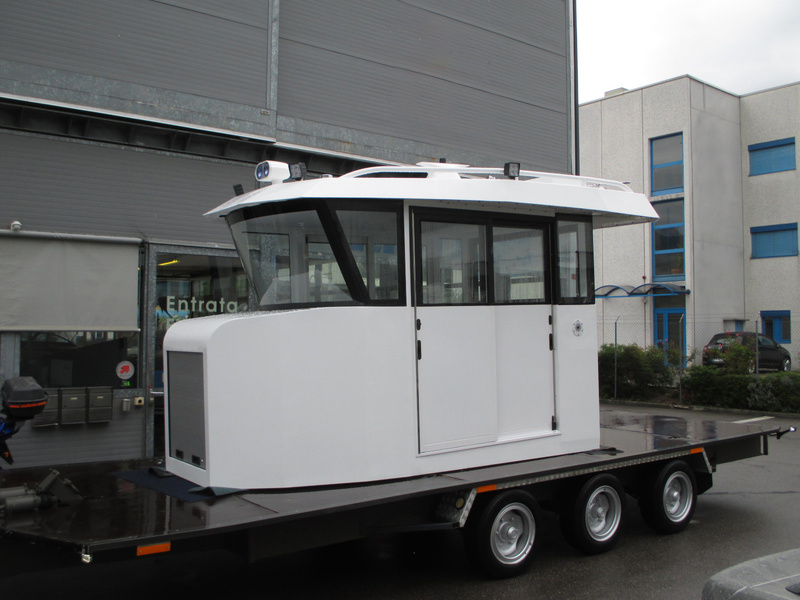 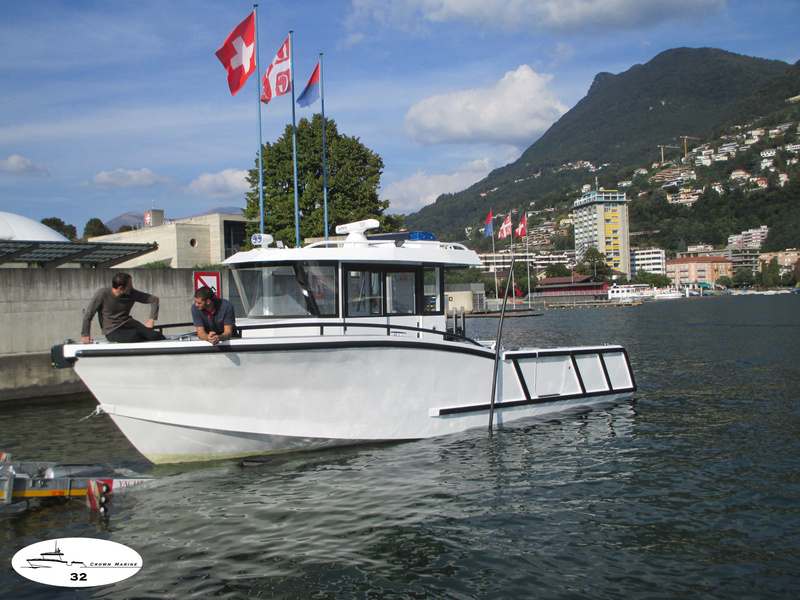 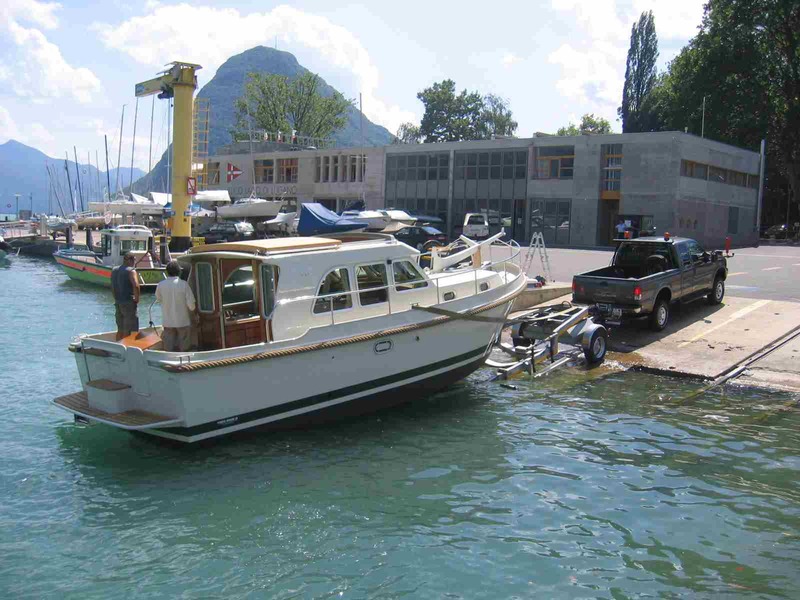 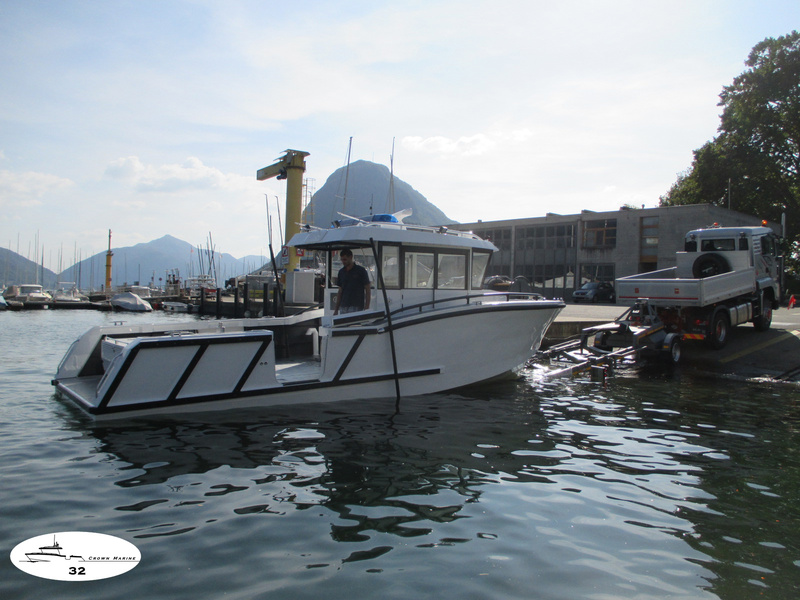 Aside from visiting our customers, moving our demo-boats to their premises for demo-purposes, we also organize the logistical aspect of our projects and components at an international level. 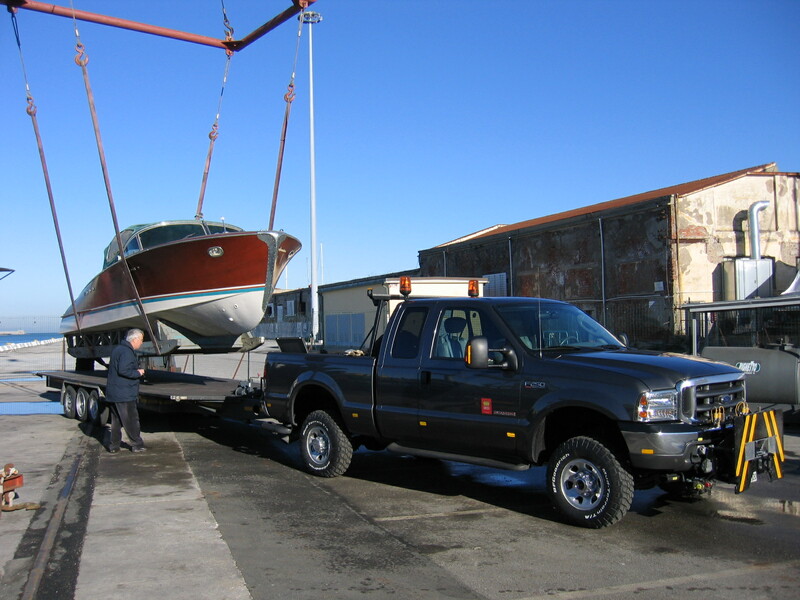 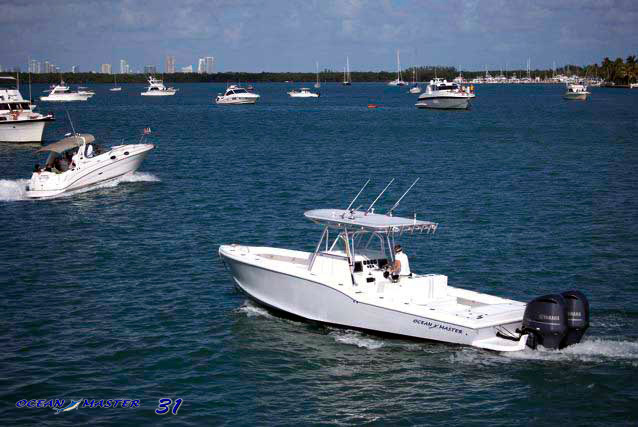 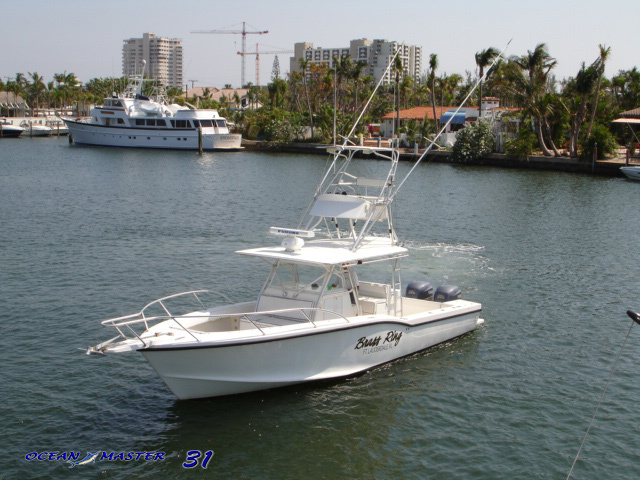 We also take care of transportation requirements for other boat yards or construction companies. 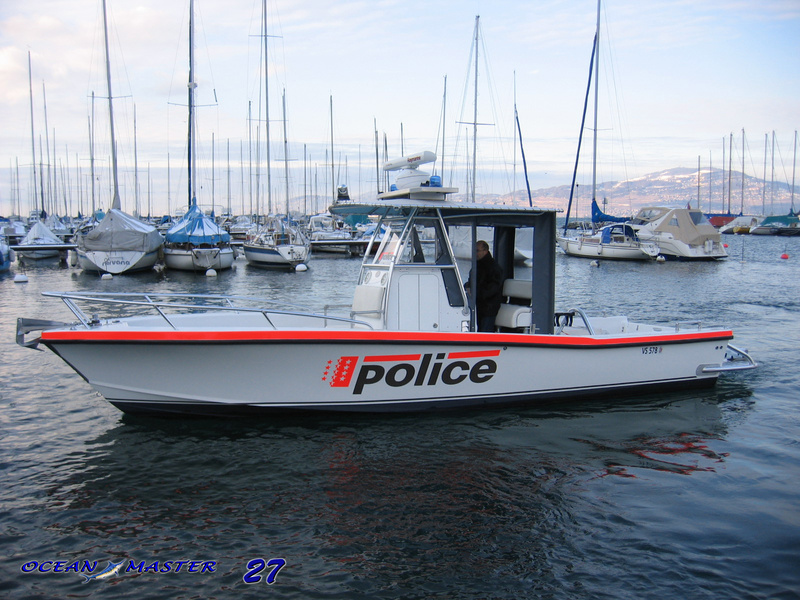 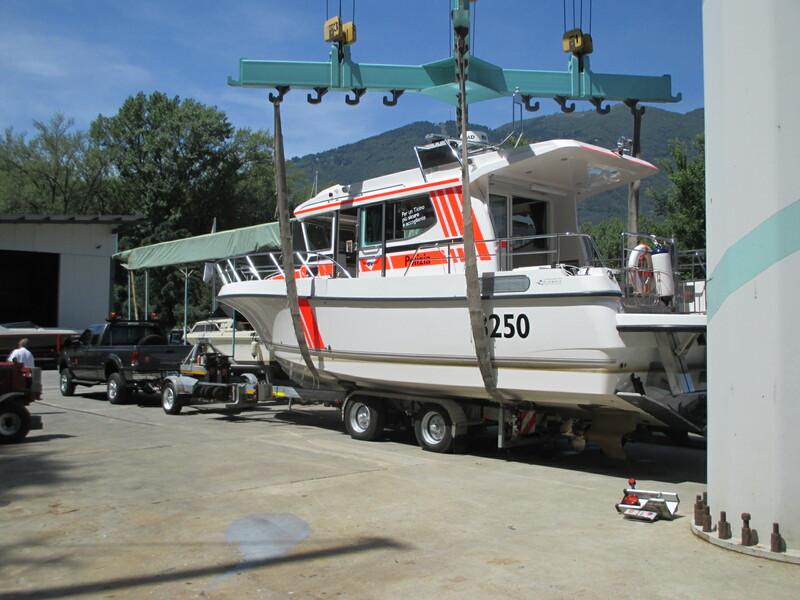 Boats often represent delicate transportation issues, and in this industry it is fundamental to qork with professionals, that know what they are doing. 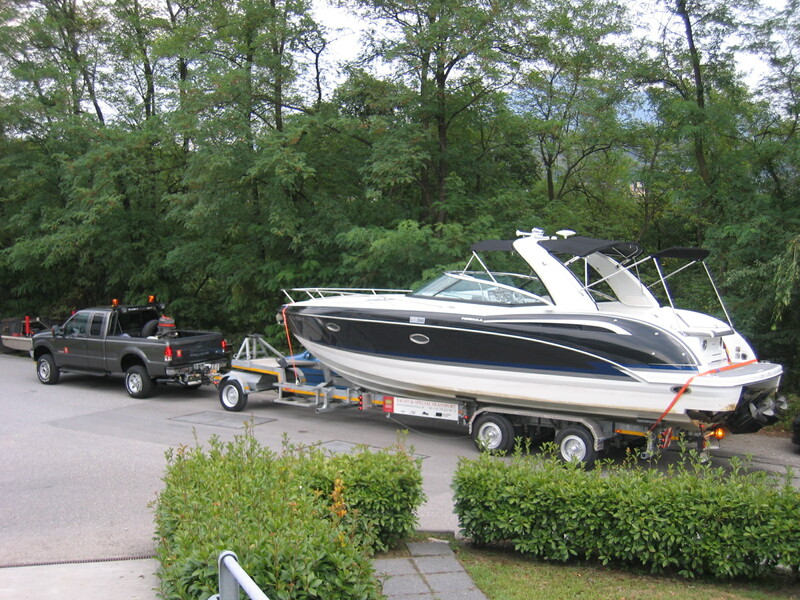 Moving a boat requires care, experience, a lot of attention and readyness. 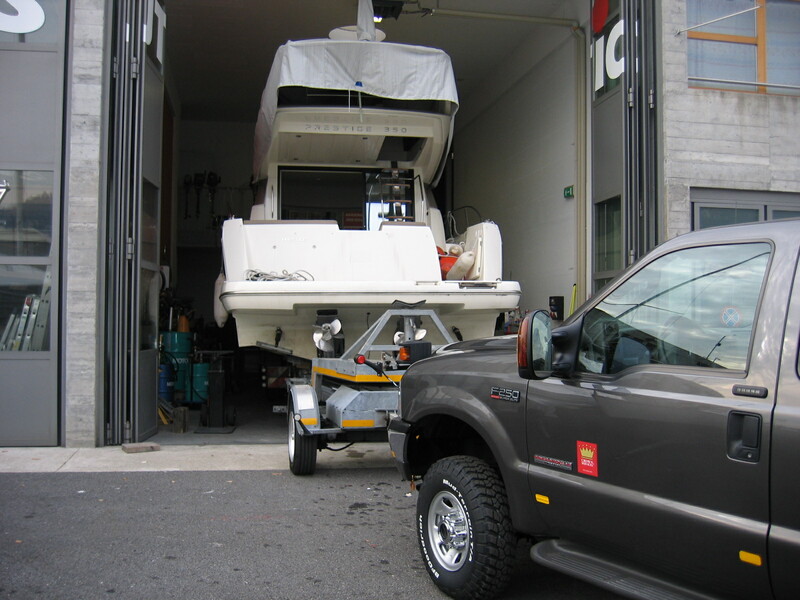 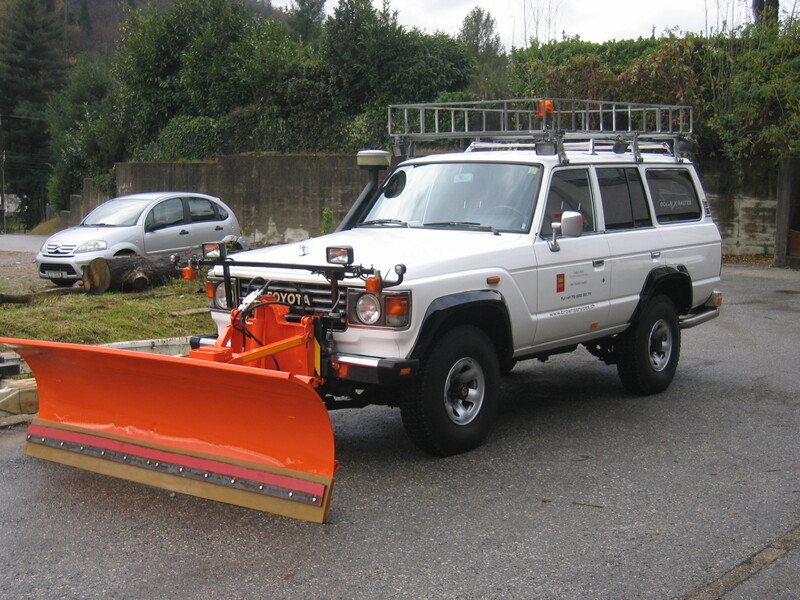 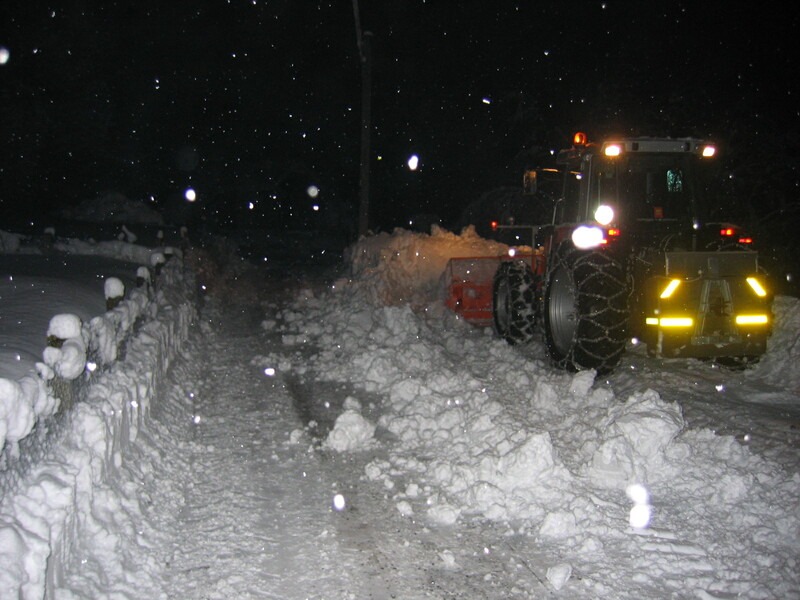 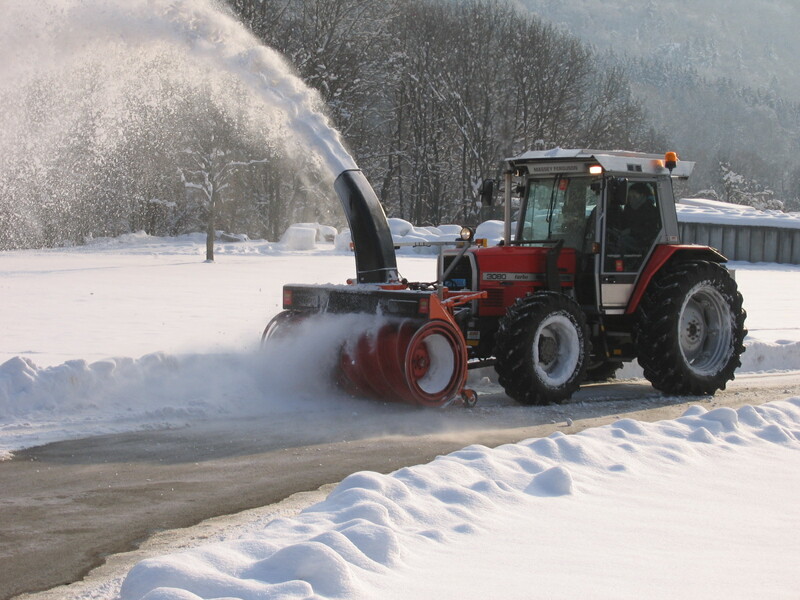 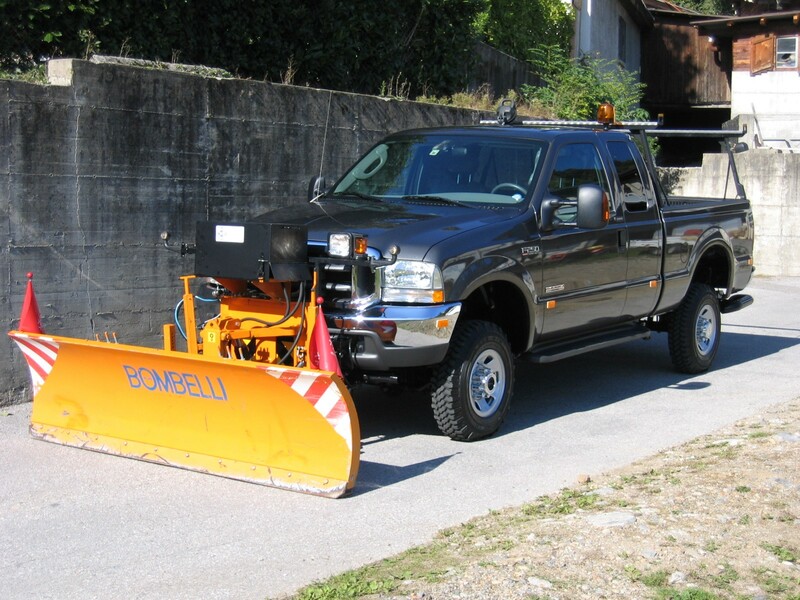 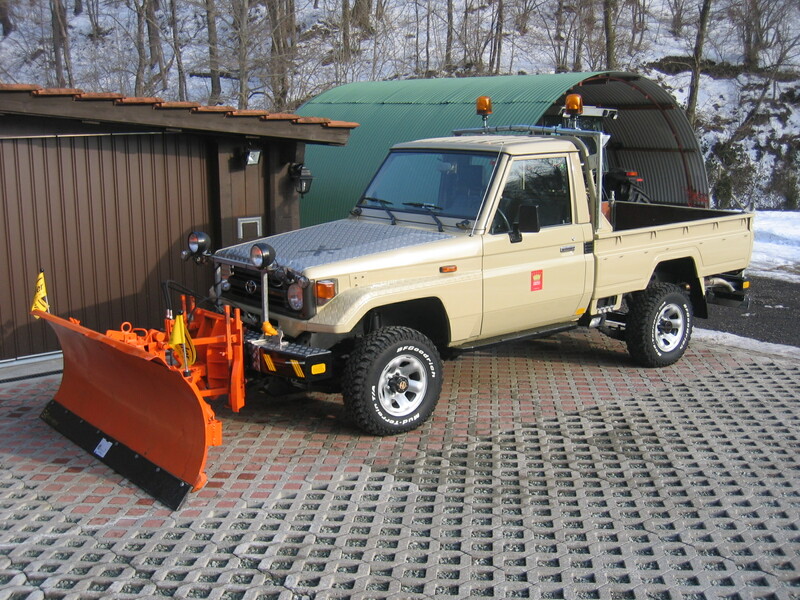 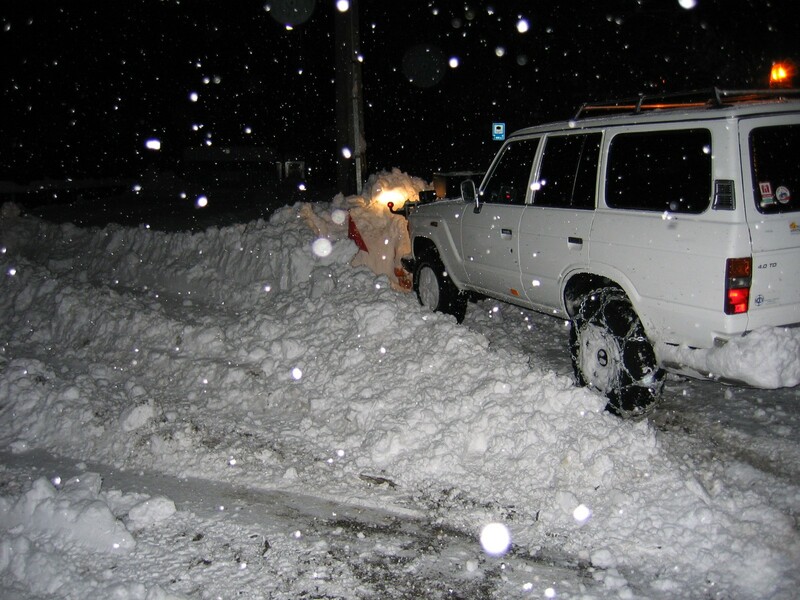 Whenever possible, we prefer to work with our own vehicles, equipment and experienced staff. 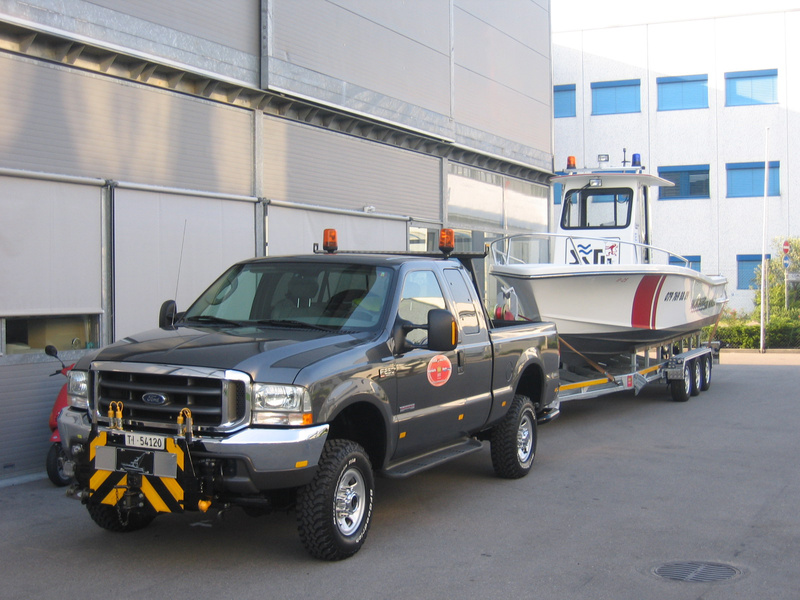 Should a job be larger than what our specialized vehicles can handle, we link up and coordinate with partners in the industry that can deliver with the same values and ethics, nevertheless following each transportation project personally. 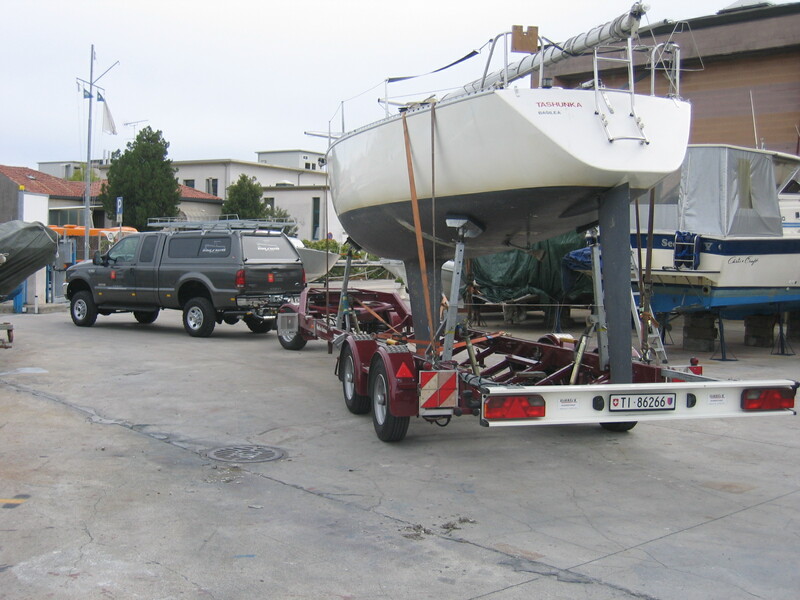 Typically, a boatyard around our reality is equipped to transport boats up to 2.8t respectively approx. 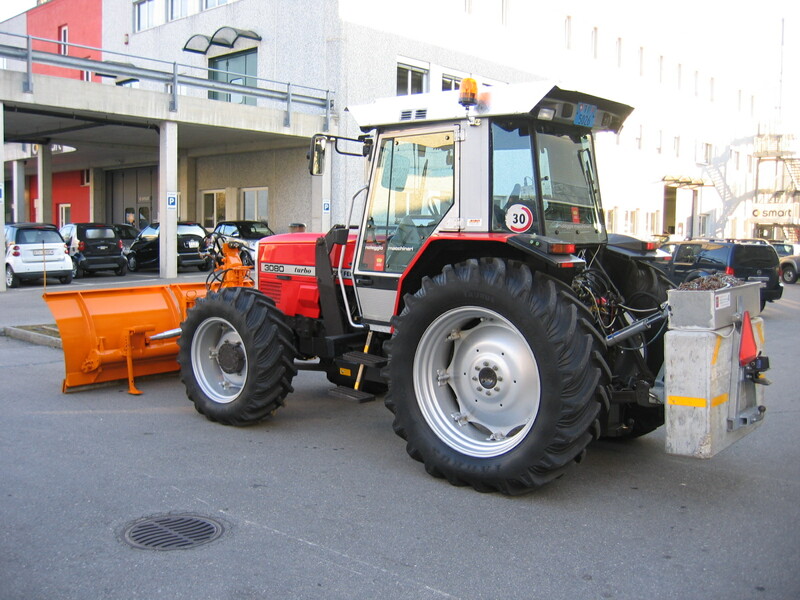 4t. 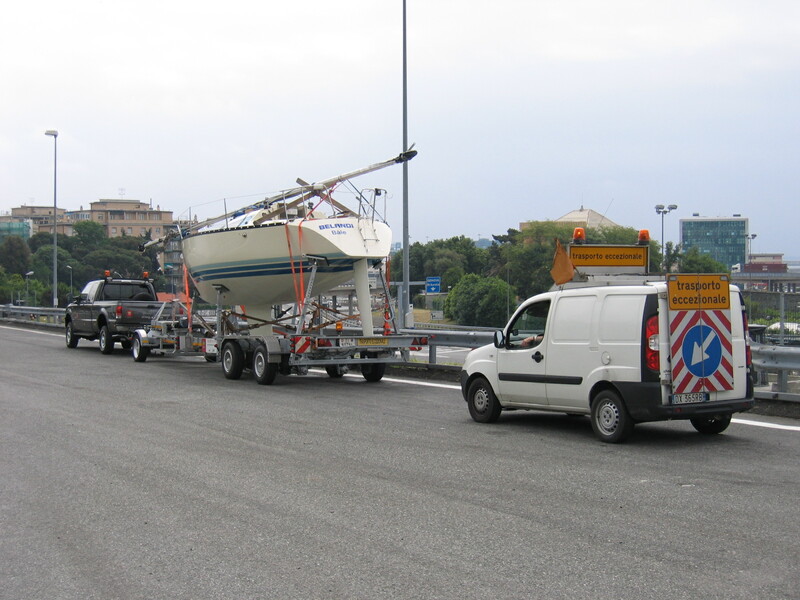 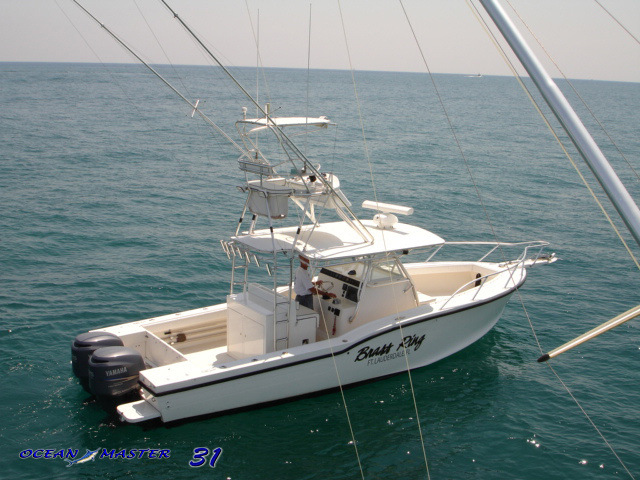 We specialize on moving boats that weigh between ​​4t to 9t. 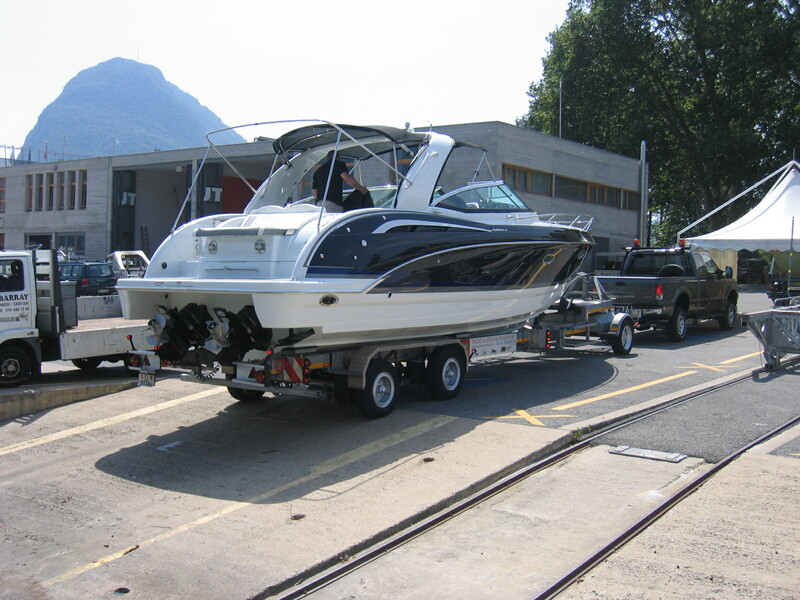 We so cover an important market niche, that would otherwise require a boatyard to make substantial investments in transportation inventory, compared to the low number of large boats present in their customer base. 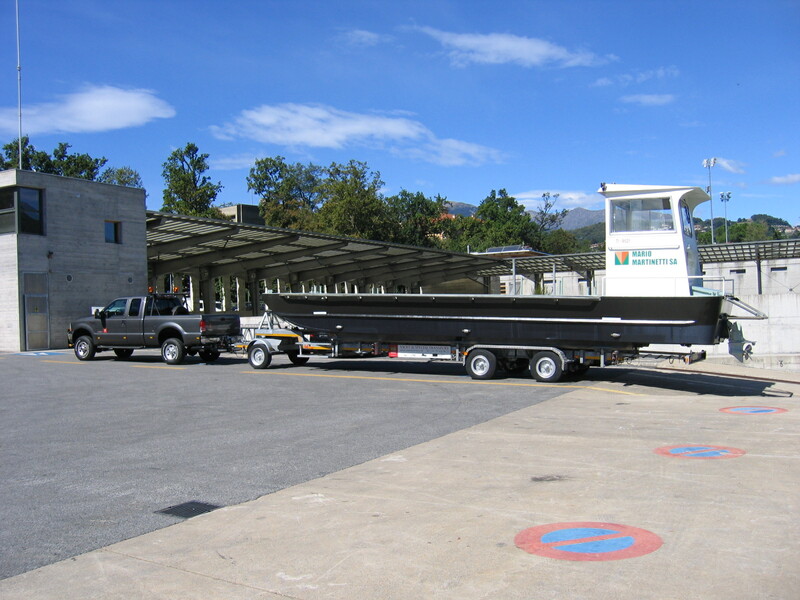 Thanks to our wide range of experiences, references and loyal partners we can handle oversize loads and specific transports even beyond our equipments capacities, linking up with other partners in the industry and acting as a general contractor even outside of the nautical branch. 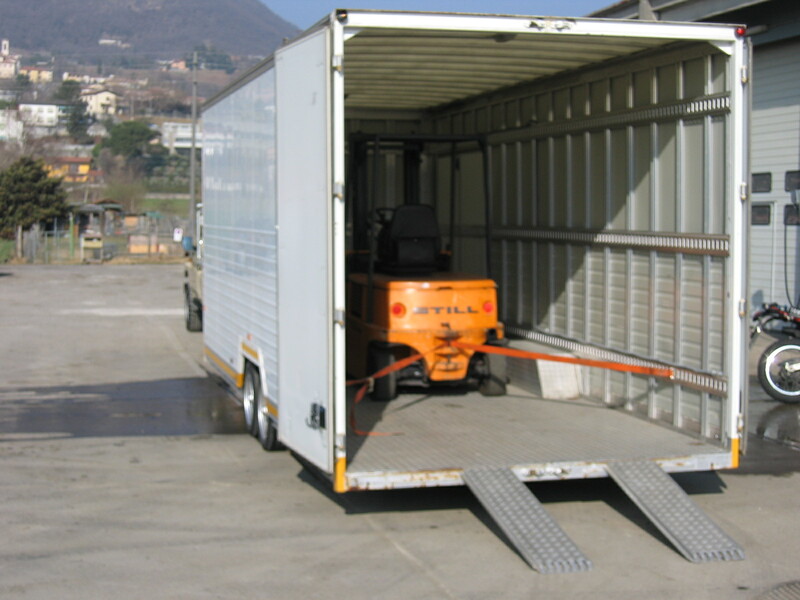 A good network of shipping agents allow us fast and effective cross-border custom formalities, hence proposing “turnkey” logistic solutions. 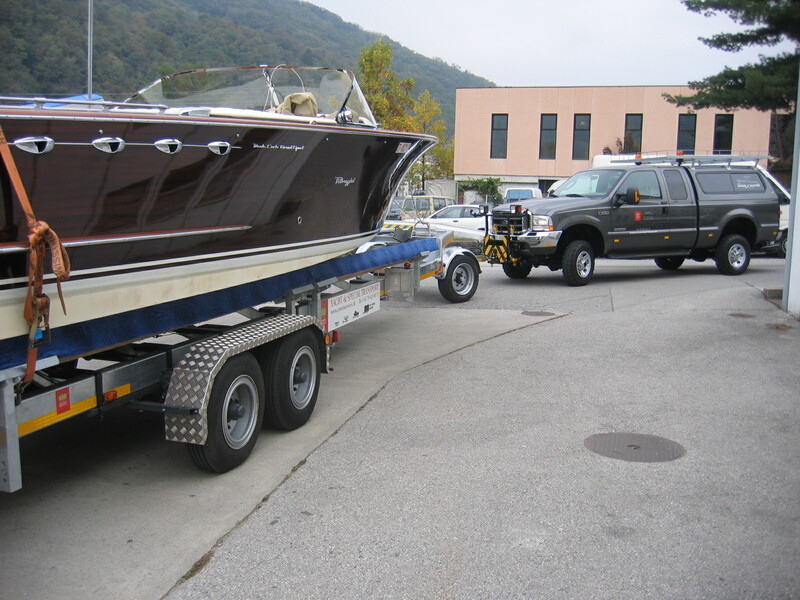 Our experience in USEuropean and Inner-European shipments allows us to offer customized solutions especially in the branch of boat transportation. 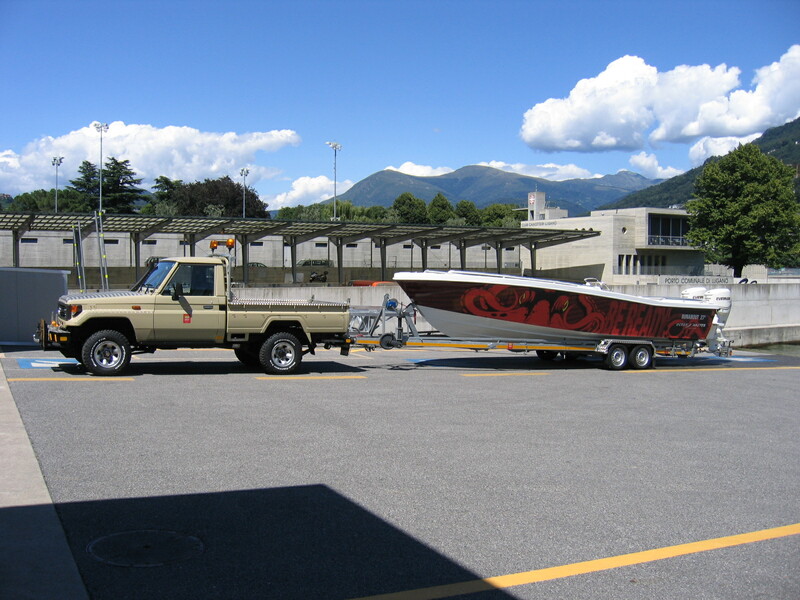 Oversize transportation of boats or equipment. 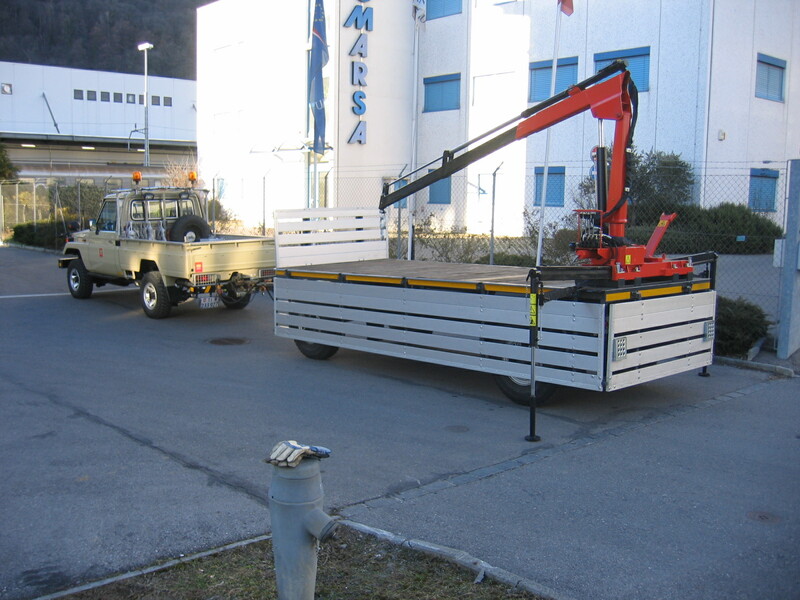 Vehicles equipped with a drive-recorder for abroad. 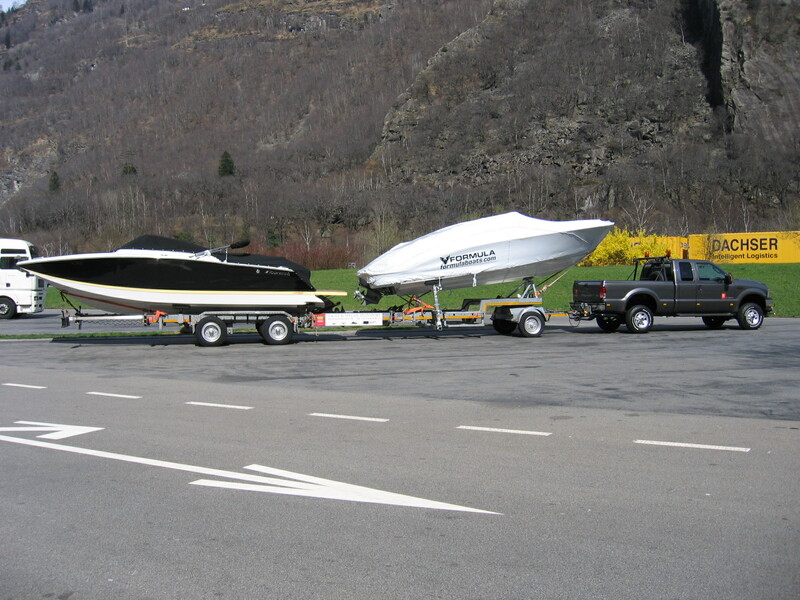 Submersible trailer: boats are loaded right from the water at the boat ramp, with subsequent direct transit on roads and highways. 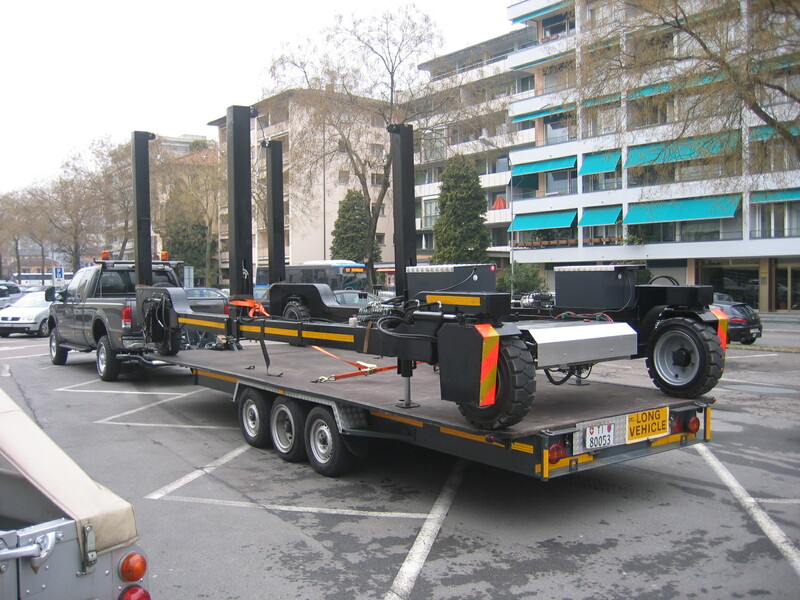 Special low-floor trailer for the transportation of fork lifts up to 4.5t. 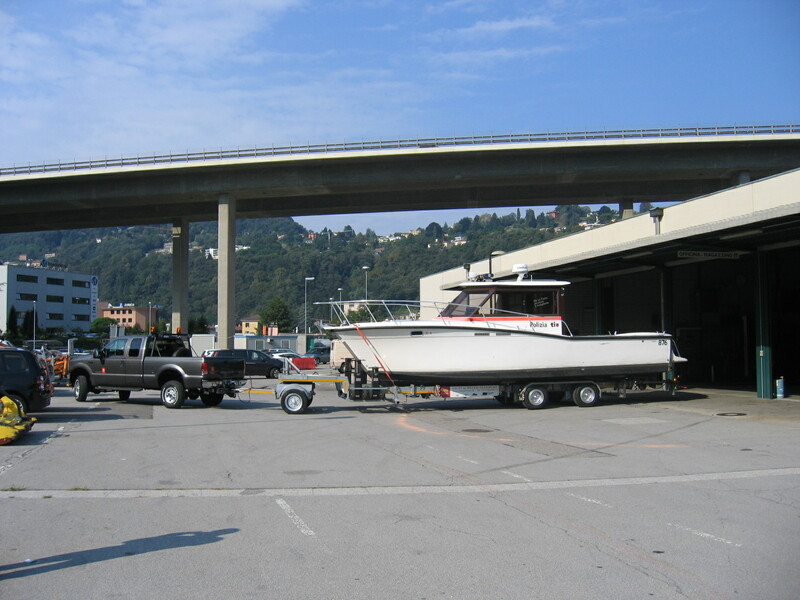 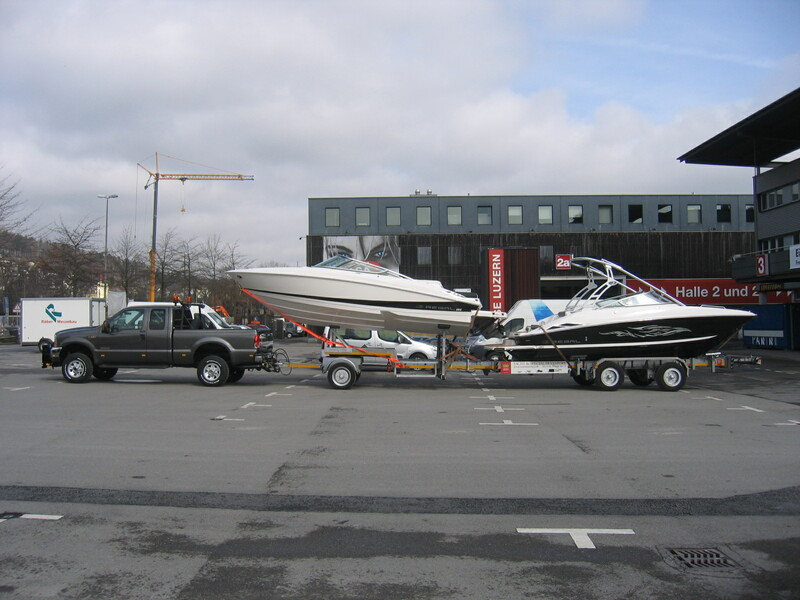 Self-loading/unloading of boats from trailers on ground. 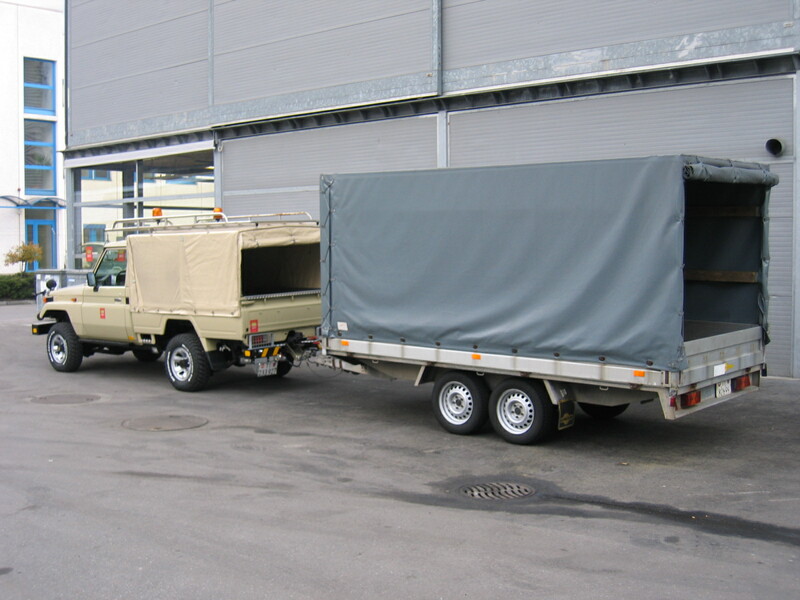 Permanent oversize permits for Italy for a convoy size of L 20m x 3m x h 4,30m. 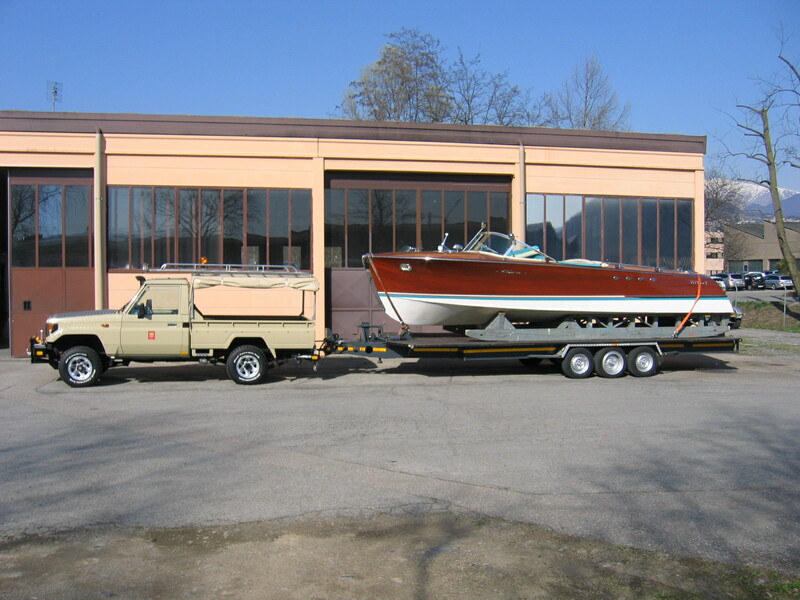 Special oversize permits for Italy for convoys exceeding measures above. 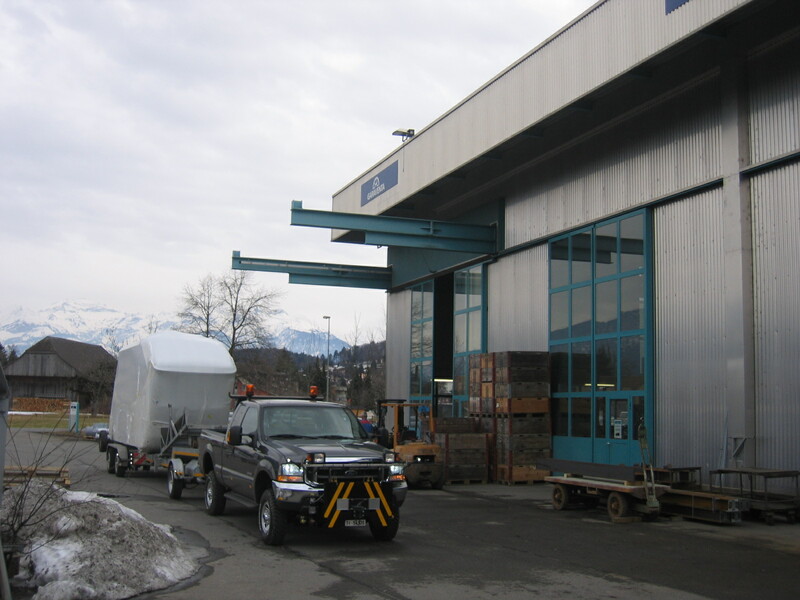 Dedicated north / south traffic (Switzerland) loading two boats at a time. 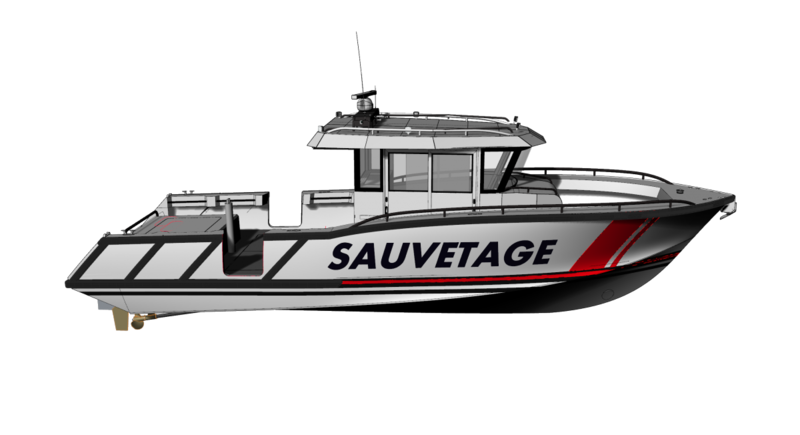 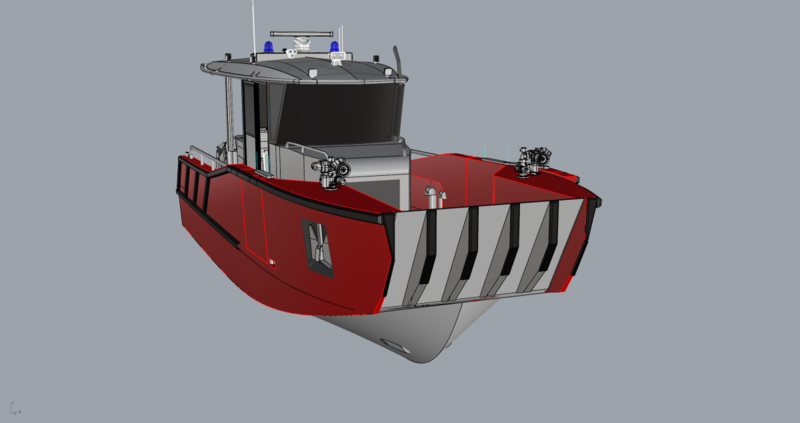 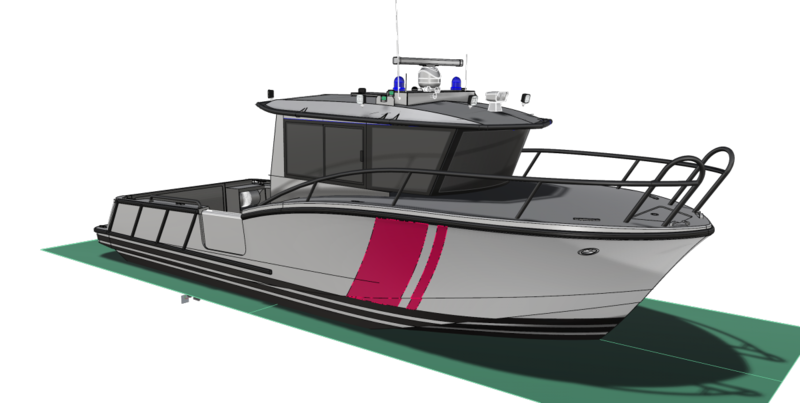 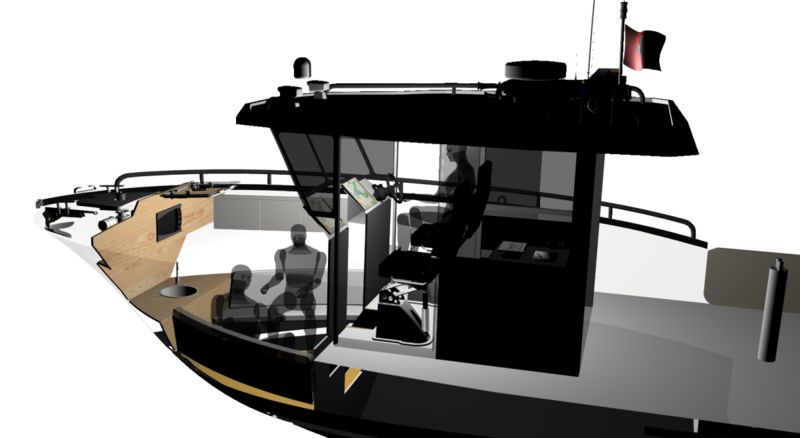 3D Boat design, engineering, structural design, mechanical design, hydrostatic and hydrodynamic calculation, production drawings, boatbuilding, design and construction of mechanical components. 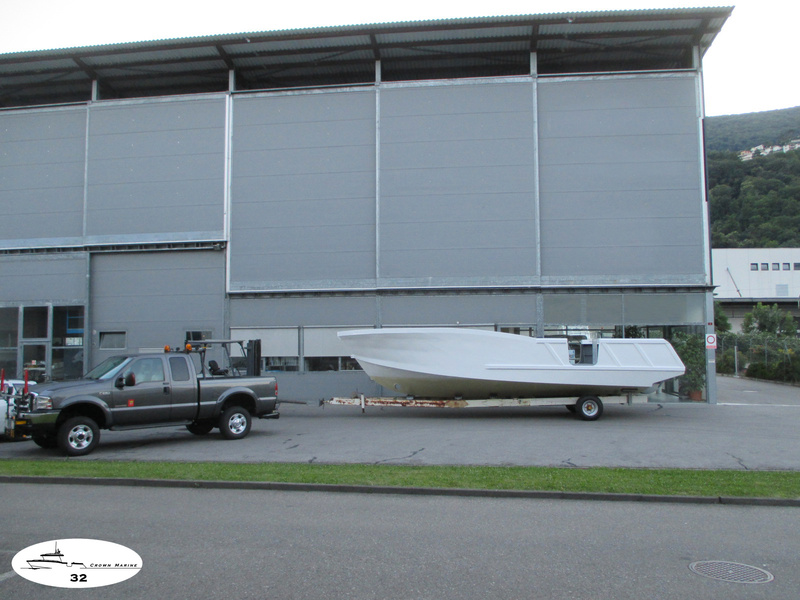 Design and fabrication of molds, boat building (aluminum, fiberglass and steel) for third party private and commercial customers. 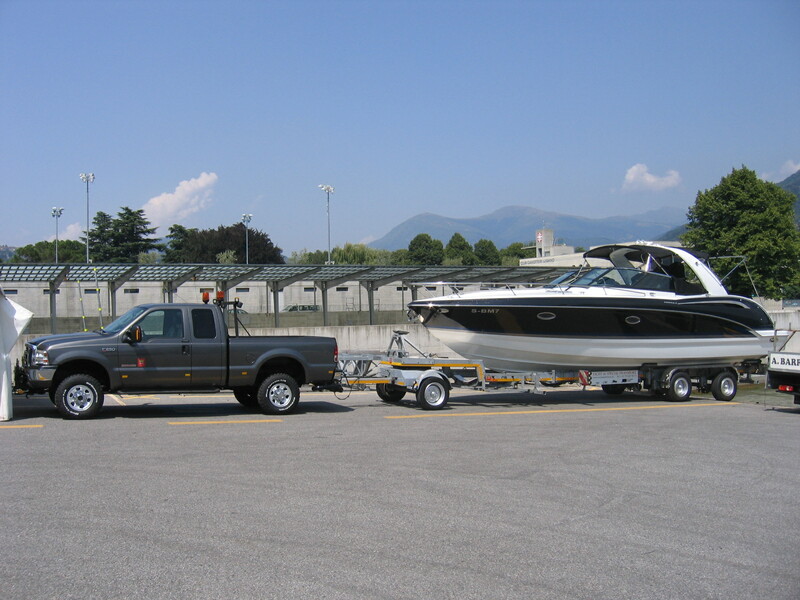 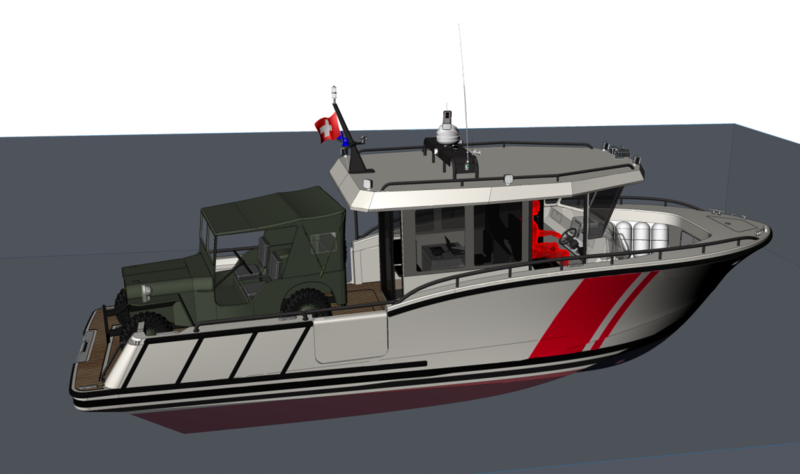 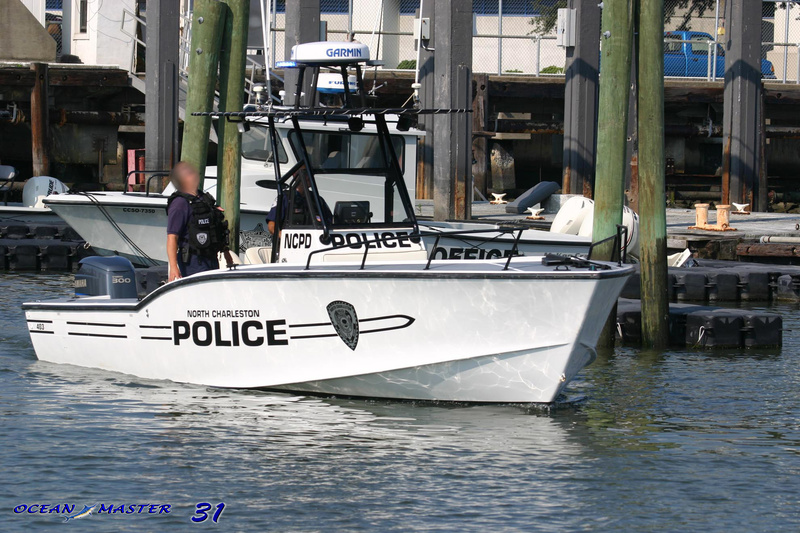 Design of specific vehicle accessories and equipment to transport and move boats, or other items requiring special handling and oversize load permits. 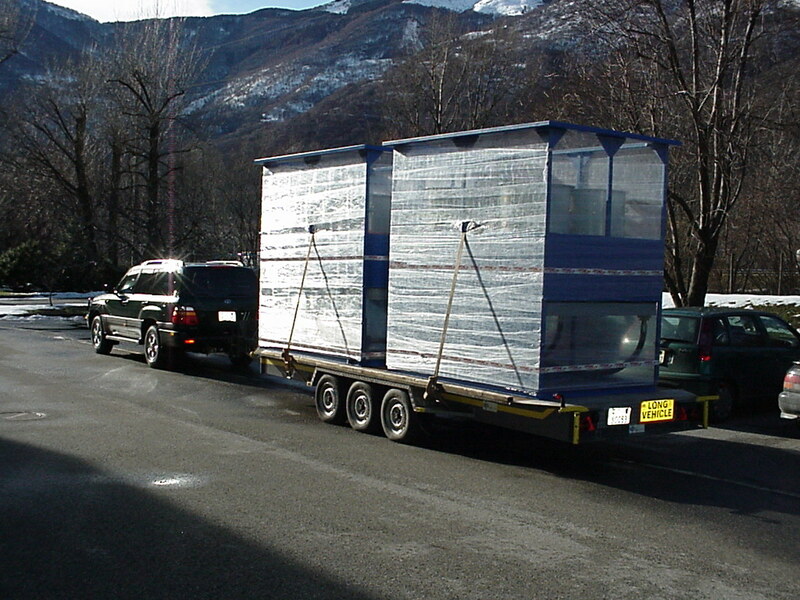 CE certification in association with other European certification bodies. 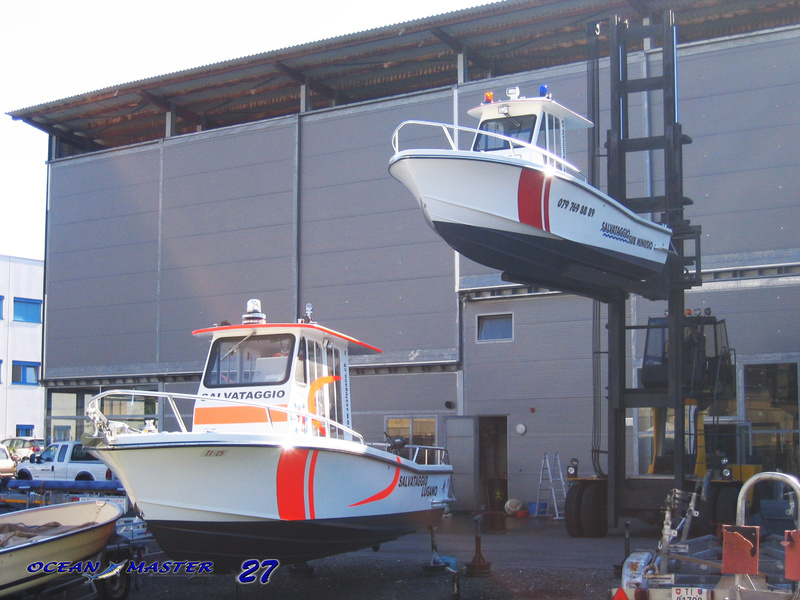 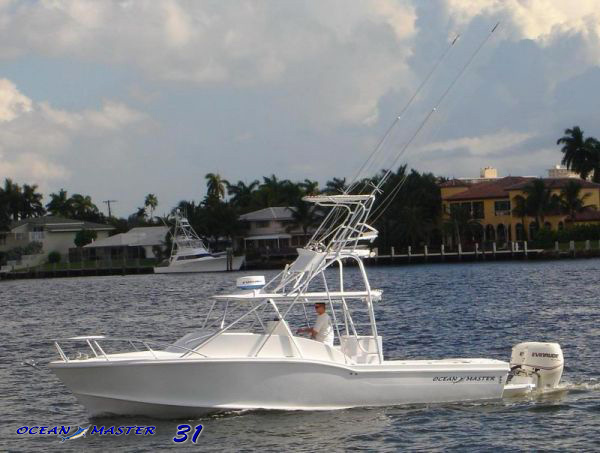 In parallel, Crown Services is sole importer for Switzerland and Europe for Ocean Master Marine, built in Stuart, Florida. 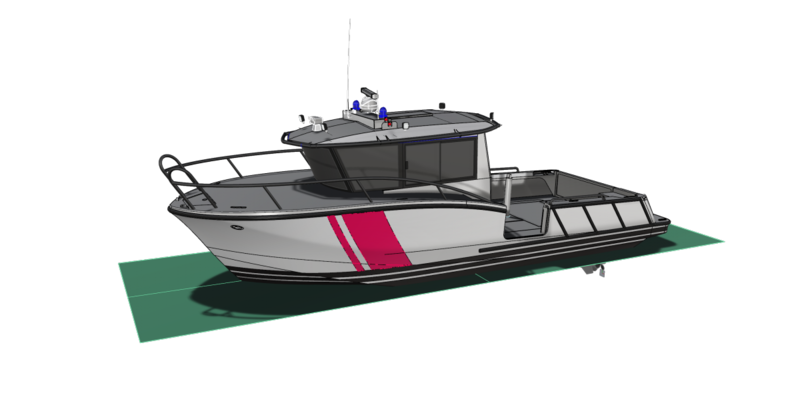 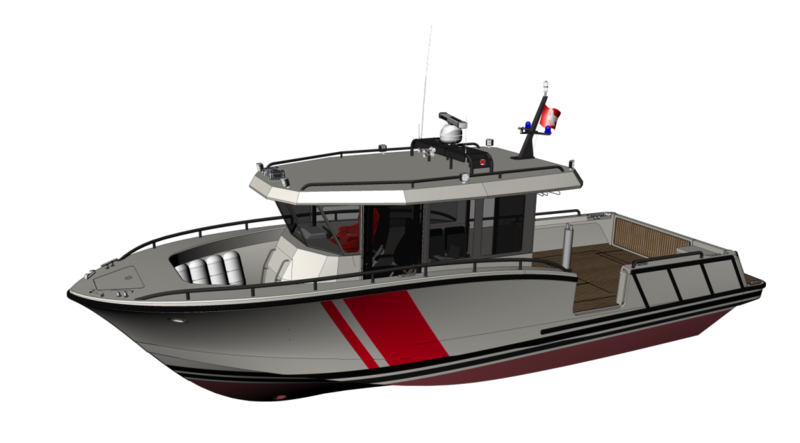 Depending on customer needs, Crown Services can provide these niche market semi-custom boats in standard or modified versions. 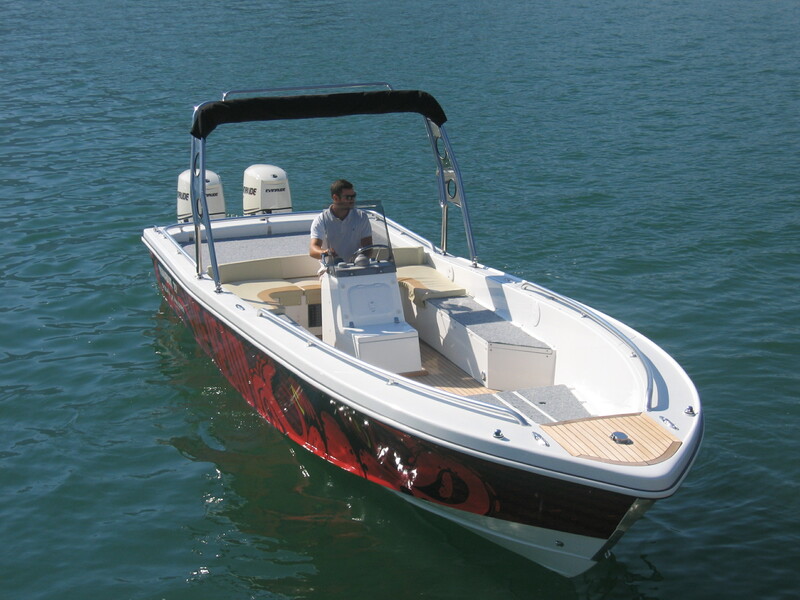 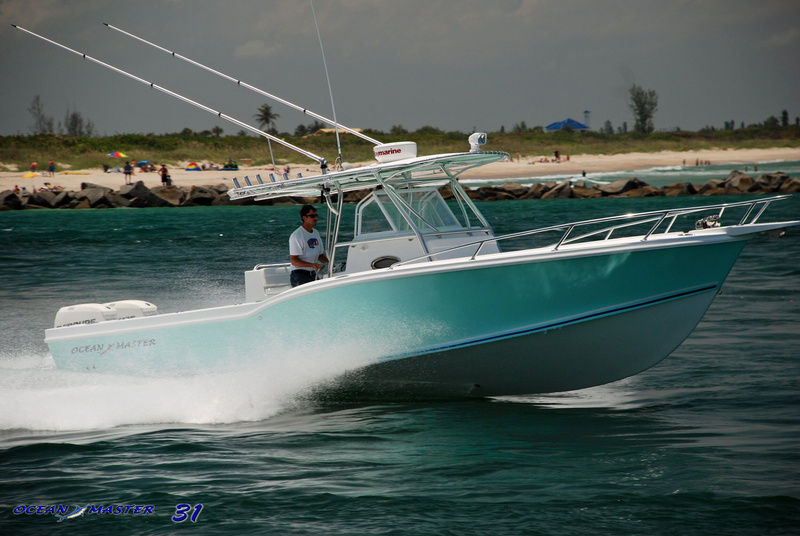 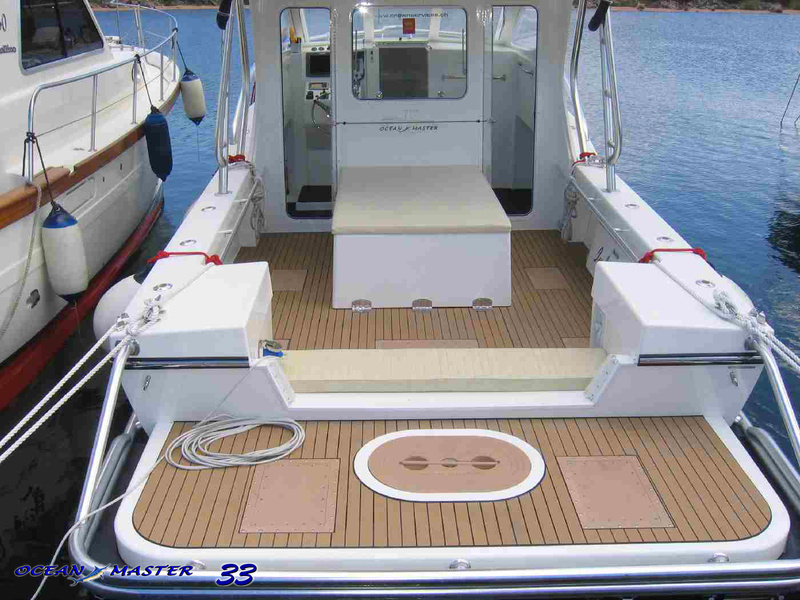 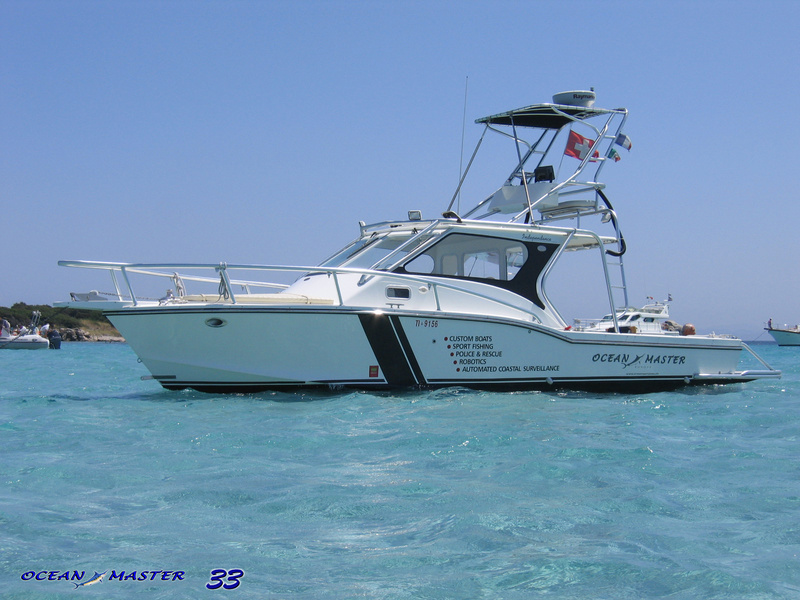 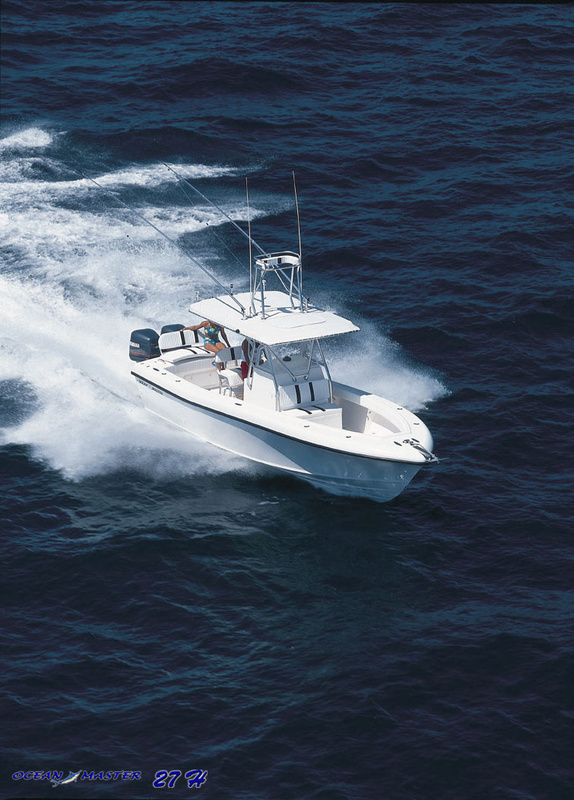 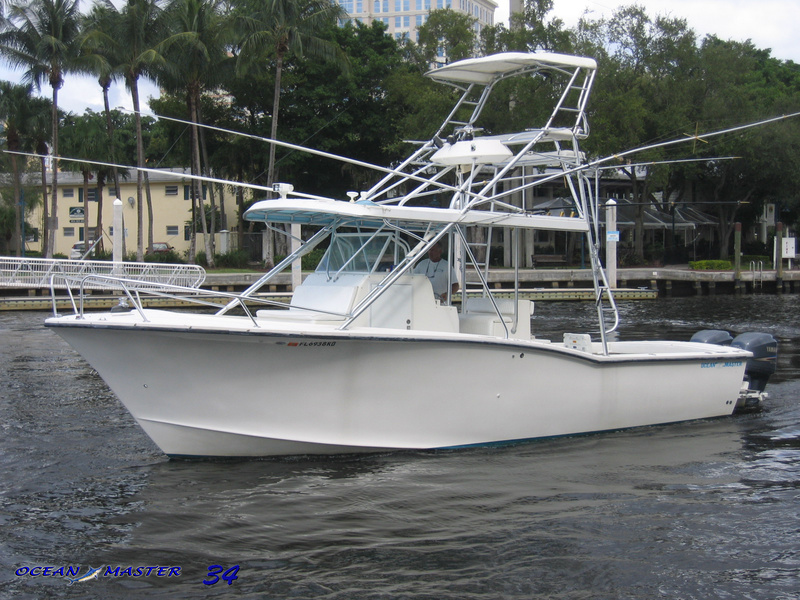 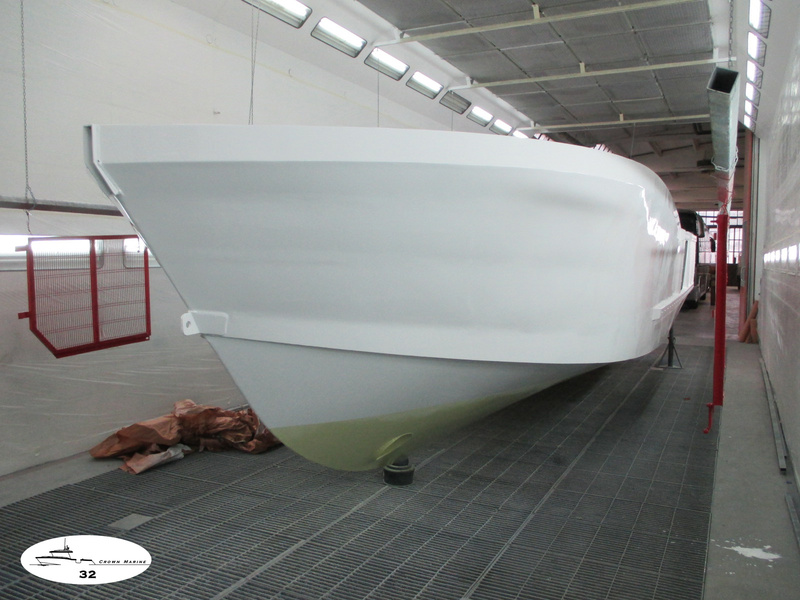 Customers can choose a standard boat, or a Crown Services customized version based on an Ocean Master hull. 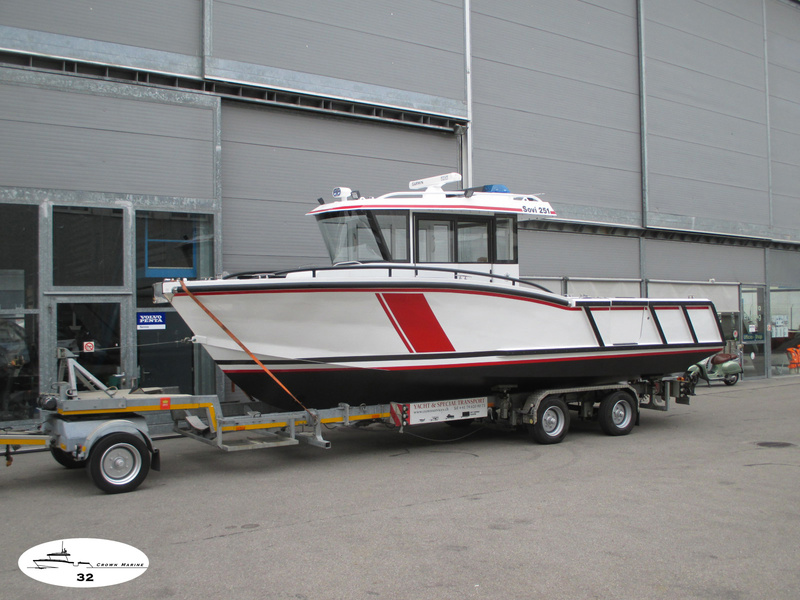 Gathering the customer’s needs and applications we propose specific rigging, propulsion systems, on-board equipment and layouts in respect of the Ocean Master hull’s characteristics with regard to weight distribution, floatation, stability and optimal performance parameters. 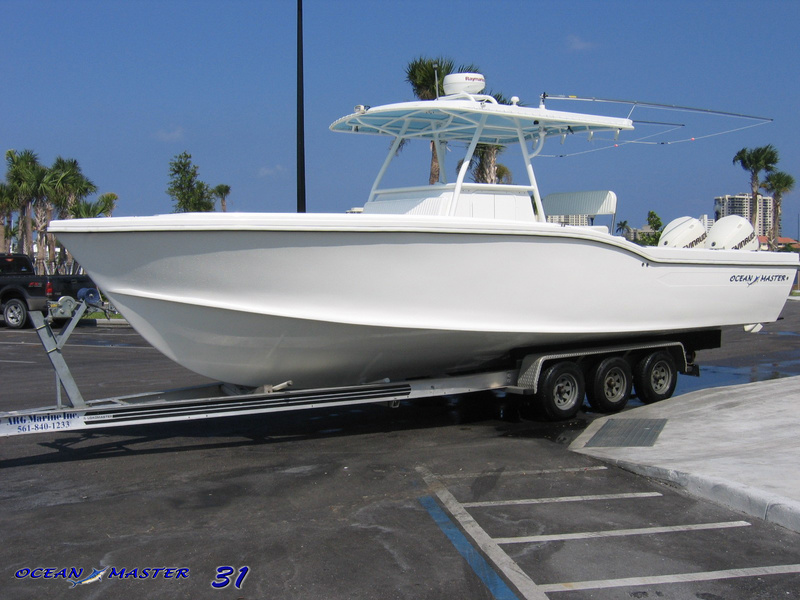 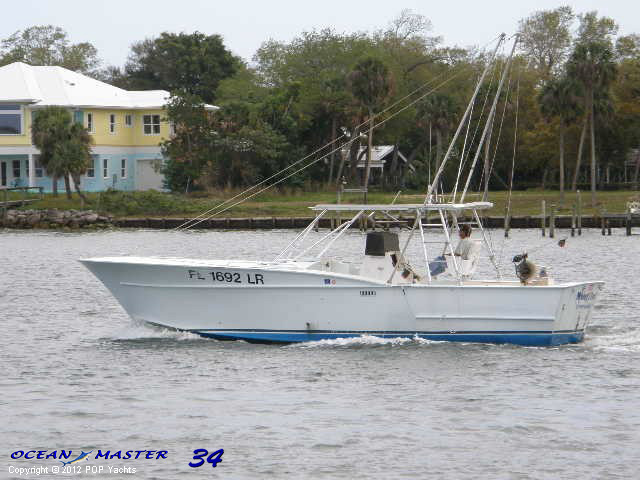 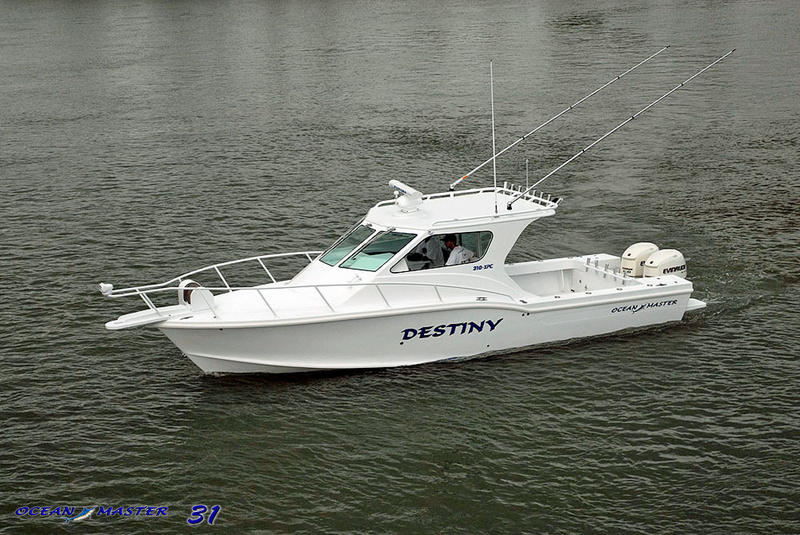 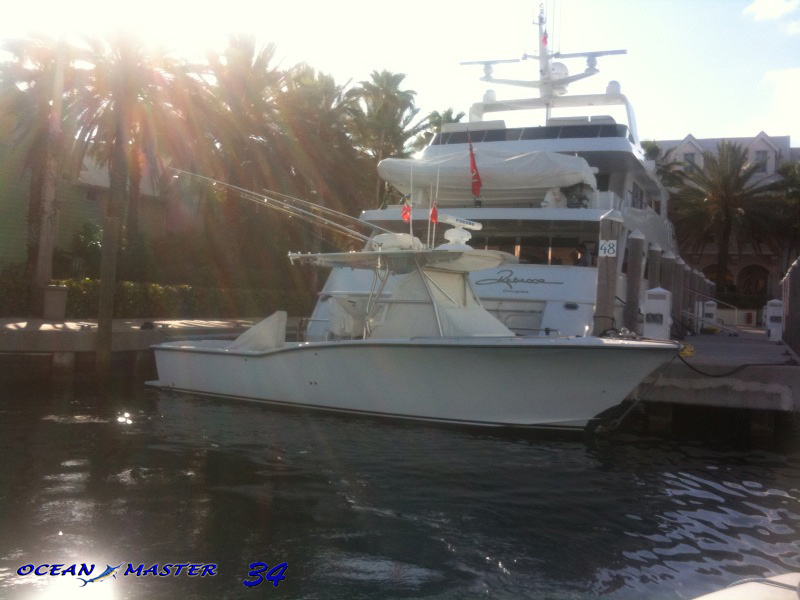 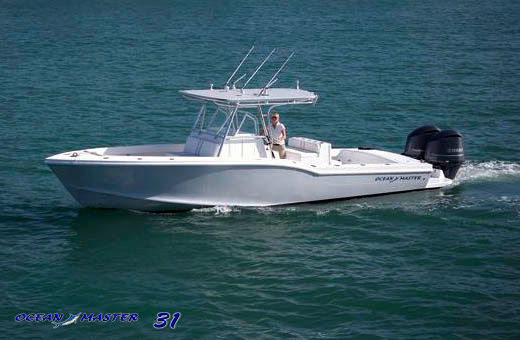 Ocean Master’s hulls and structure are closer to an ocean liner than to a standard fishing boat. 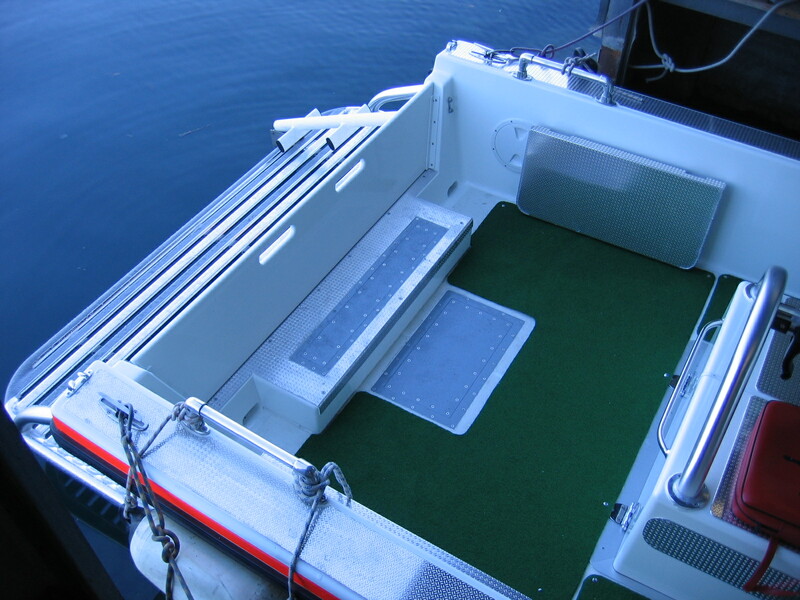 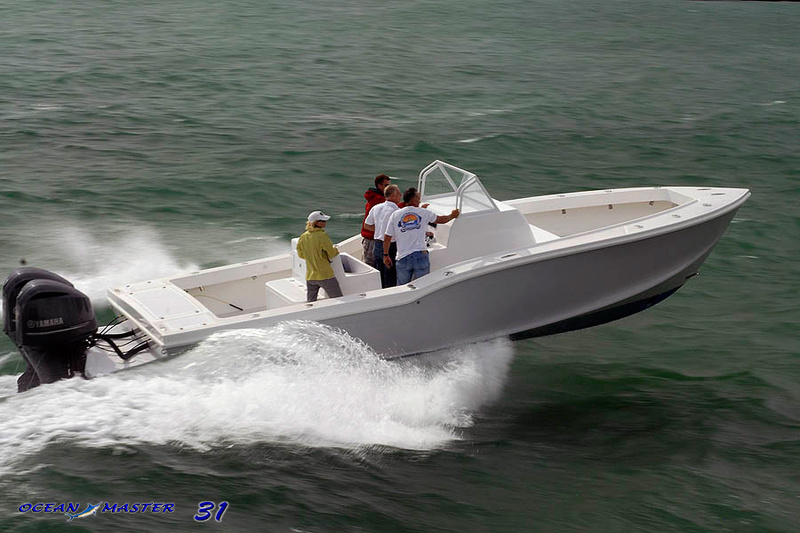 Built for applications from 1000 hours/year up, over a period of at least 40 years of extreme and heavy use, they make a good base for semi-custom boat projects. 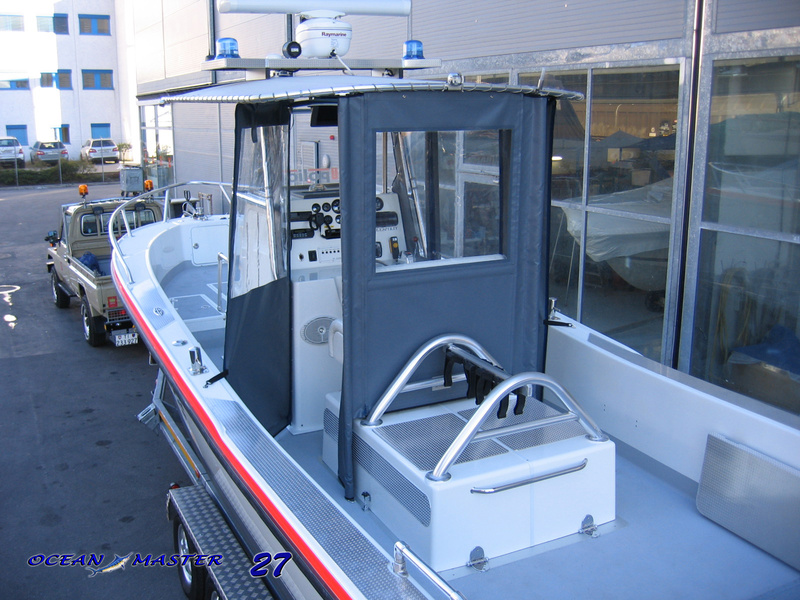 Generous use of high quality materials and resins, full lamination (NO foam, NO sandwich) guarantee a caliber 9mm. 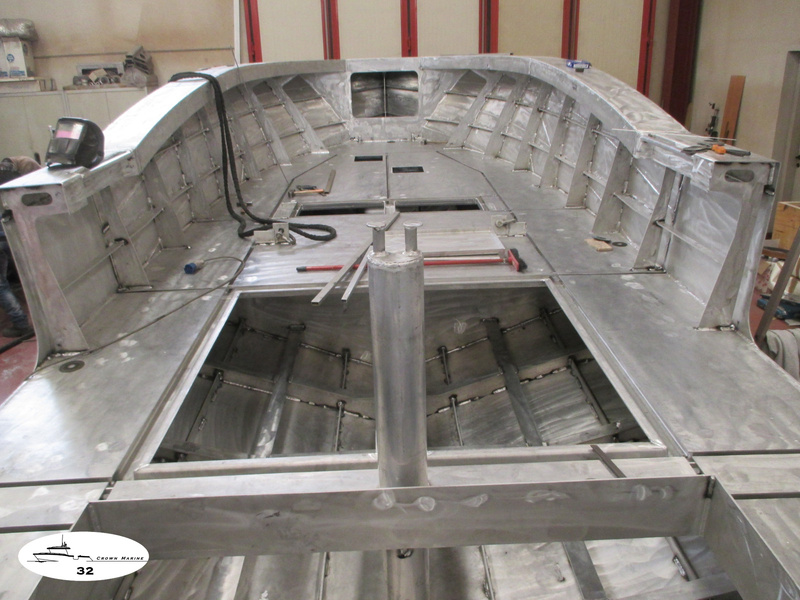 bulletproof solidity of the hulls. 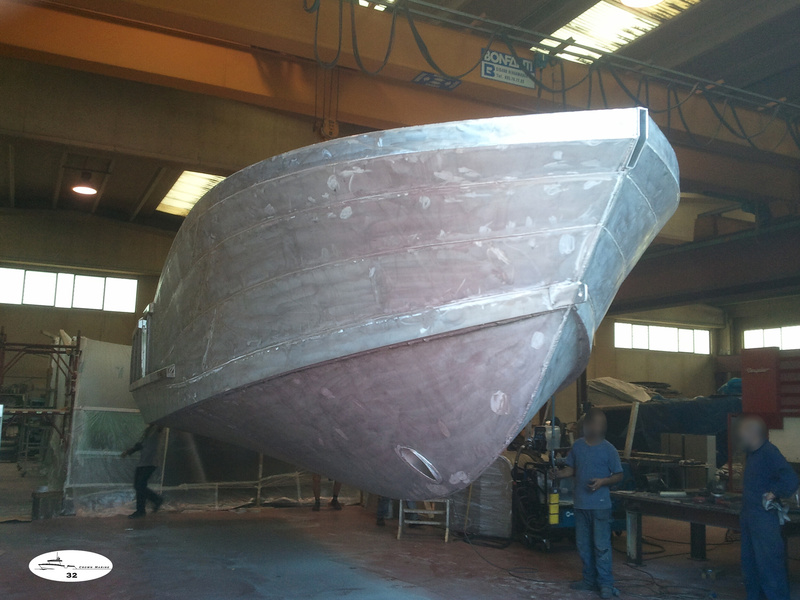 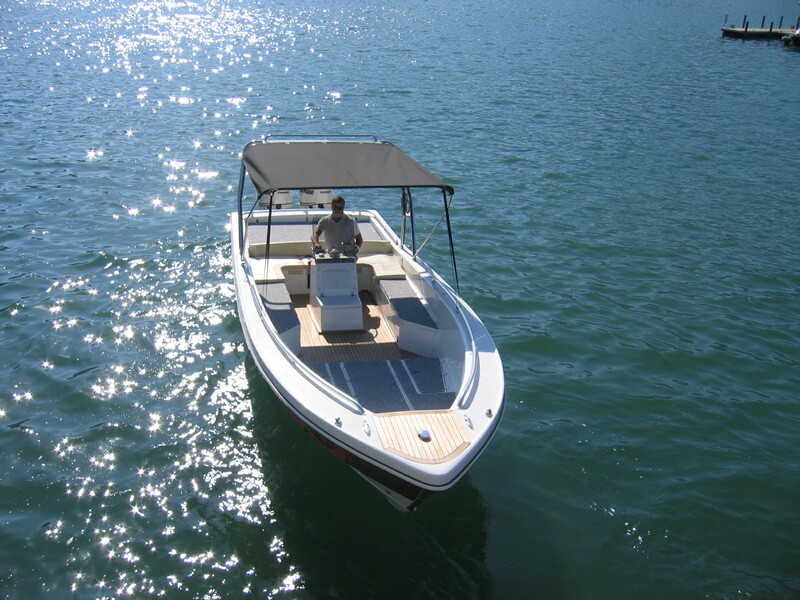 These boats are available only in fiberglass. 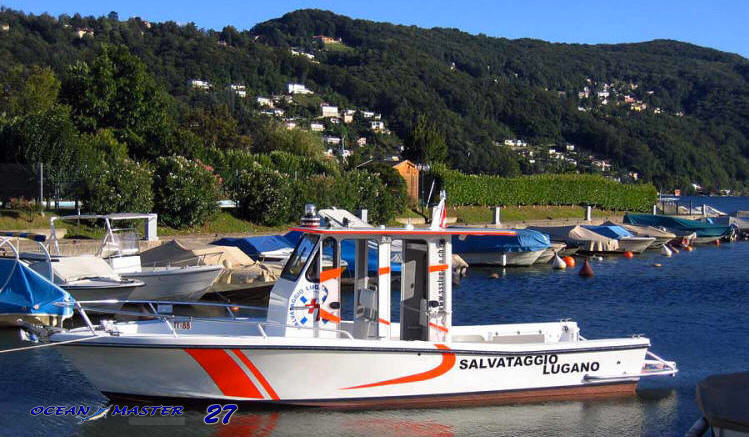 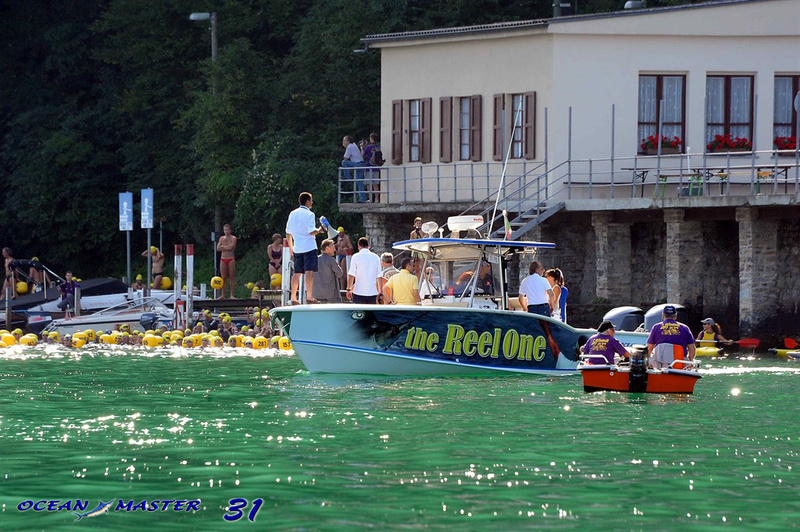 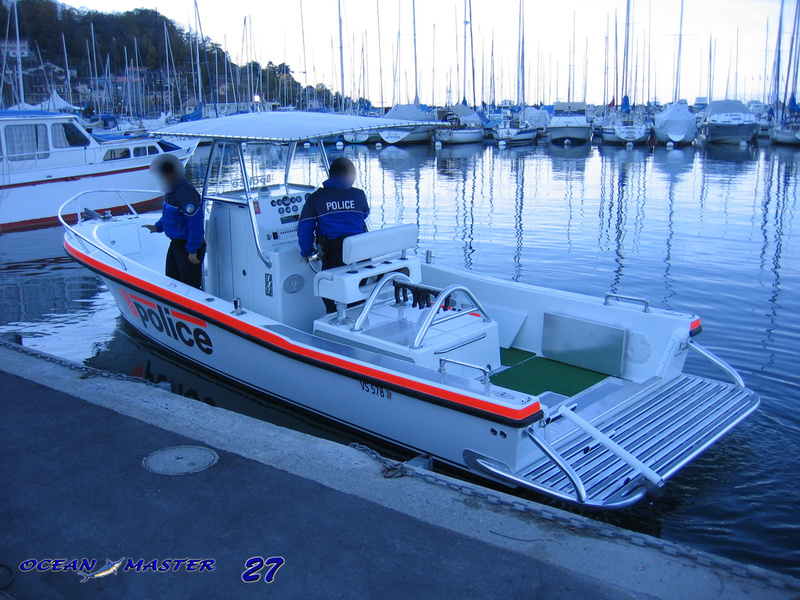 100% disegno e sviluppo proprio, Crown Services è Costruttore Navale Svizzero e membro del Schweizer Bootsbauerverband. 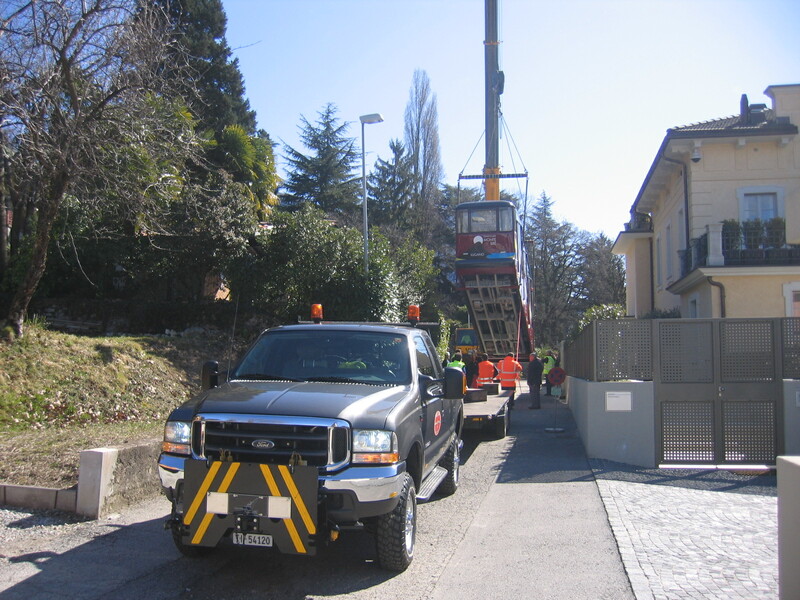 Costruzione scafi in alluminio, fibra di vetro e acciaio. 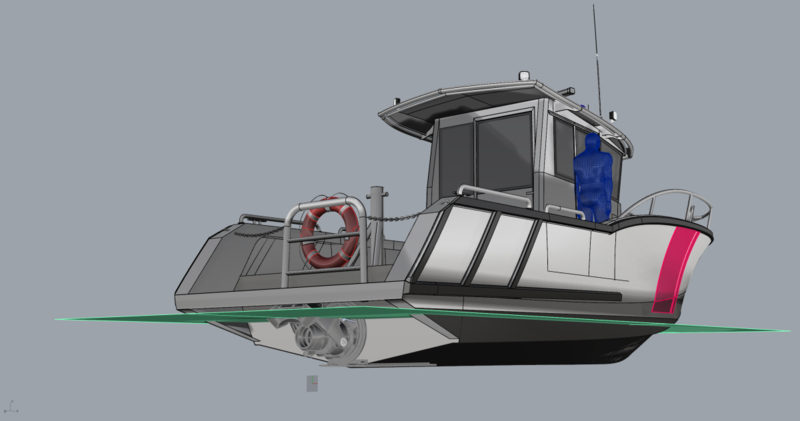 © 2019 Crown Services Ltd.	| Fullfactory Ltd.